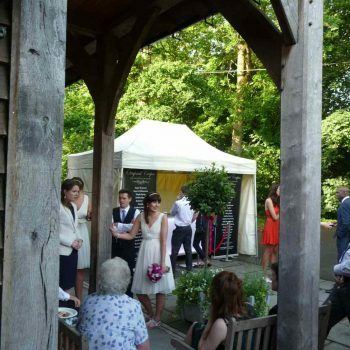 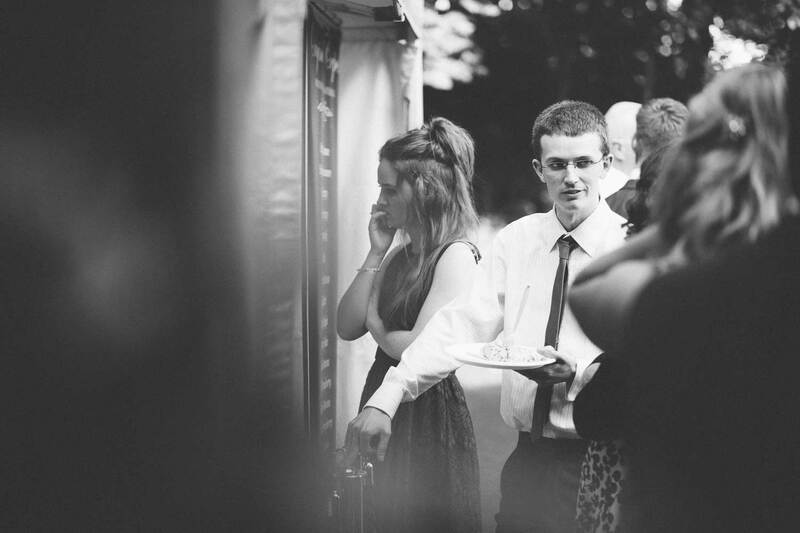 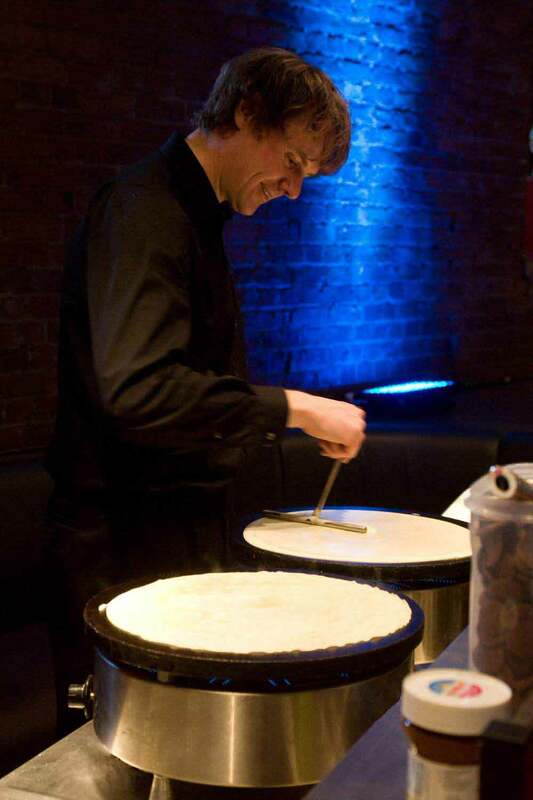 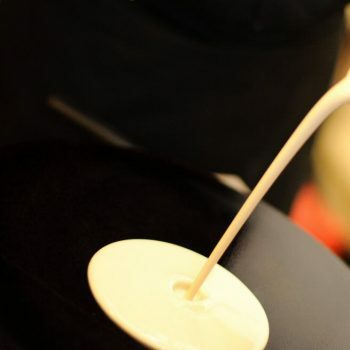 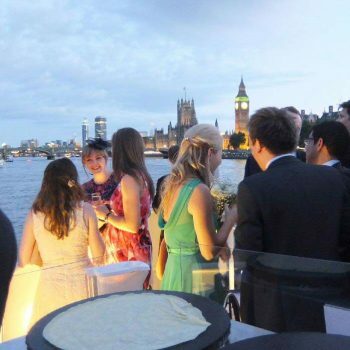 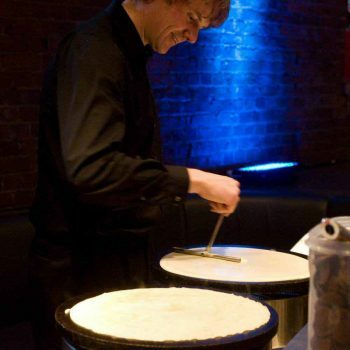 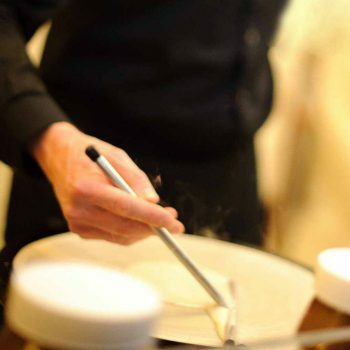 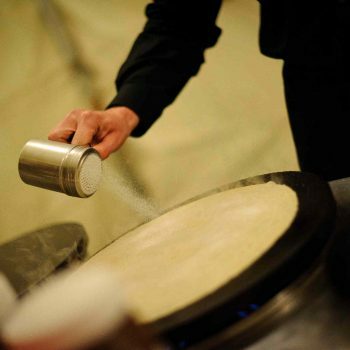 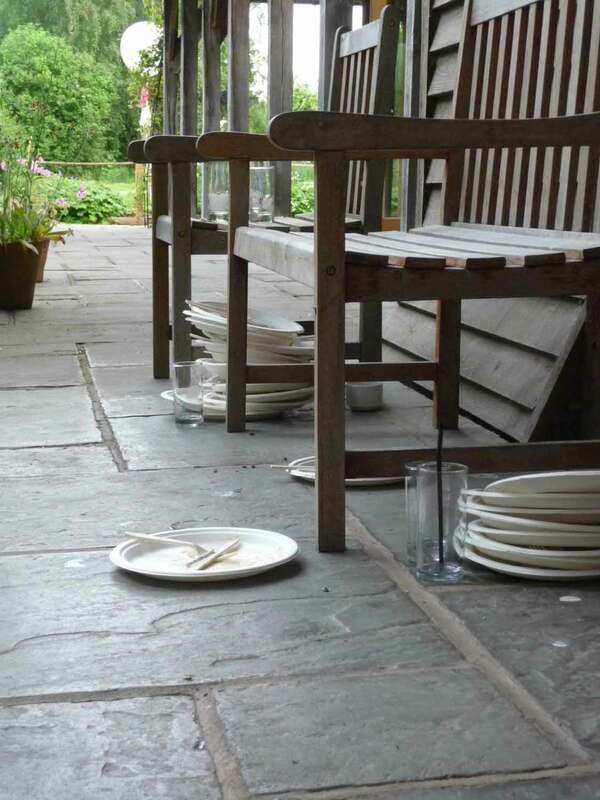 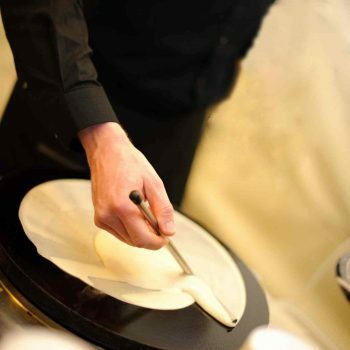 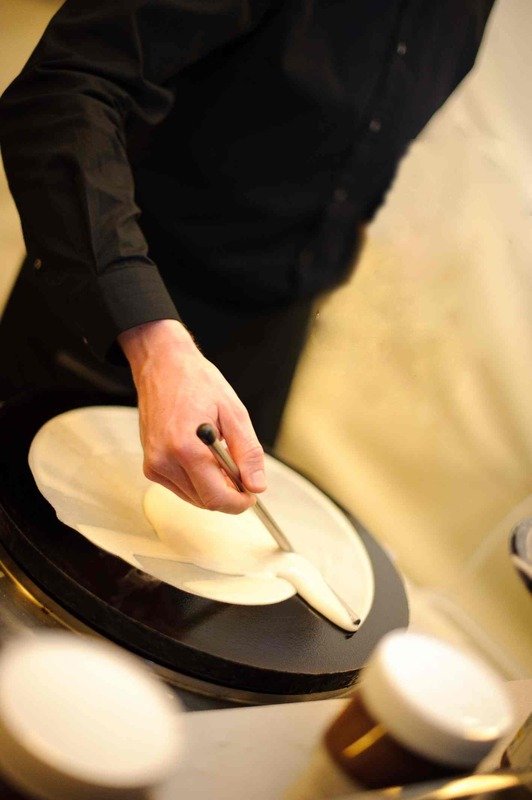 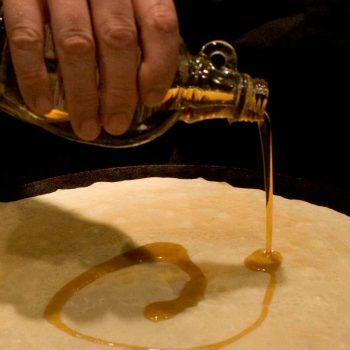 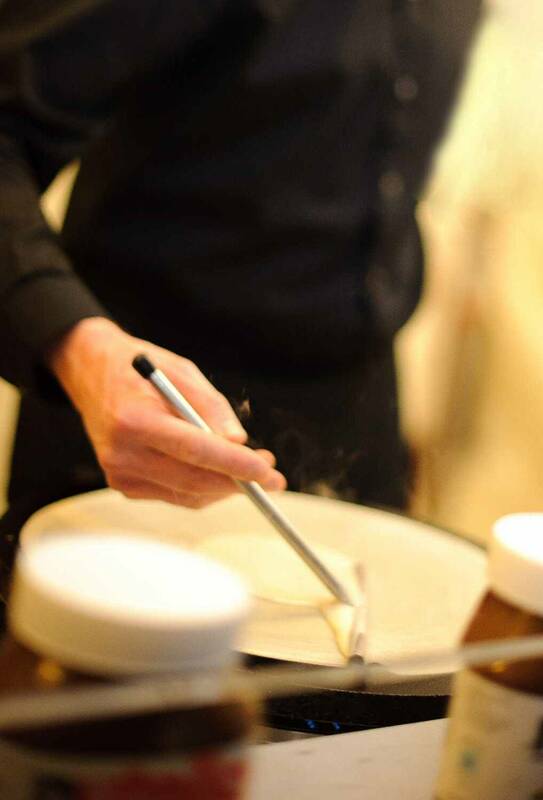 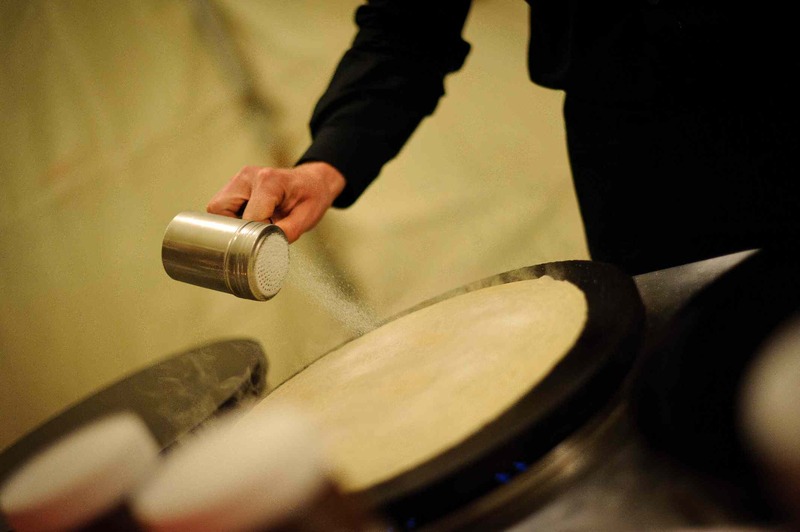 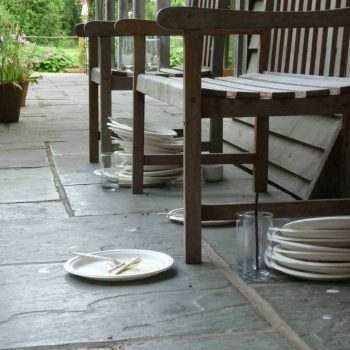 Whilst browsing our gallery, please bear in mind that we take photographs before guests arrive or after they have been served – after all, we are there to make crêpes, not take photographs! 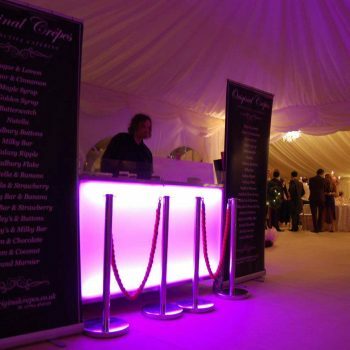 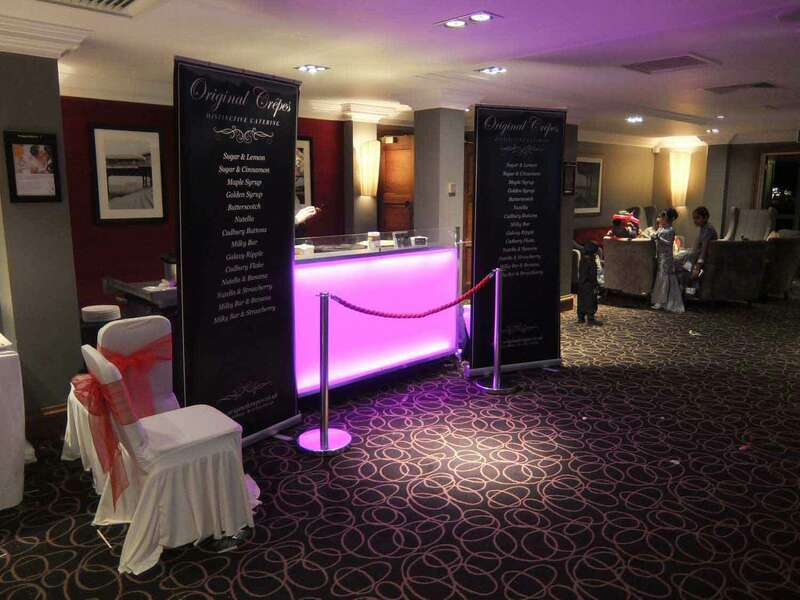 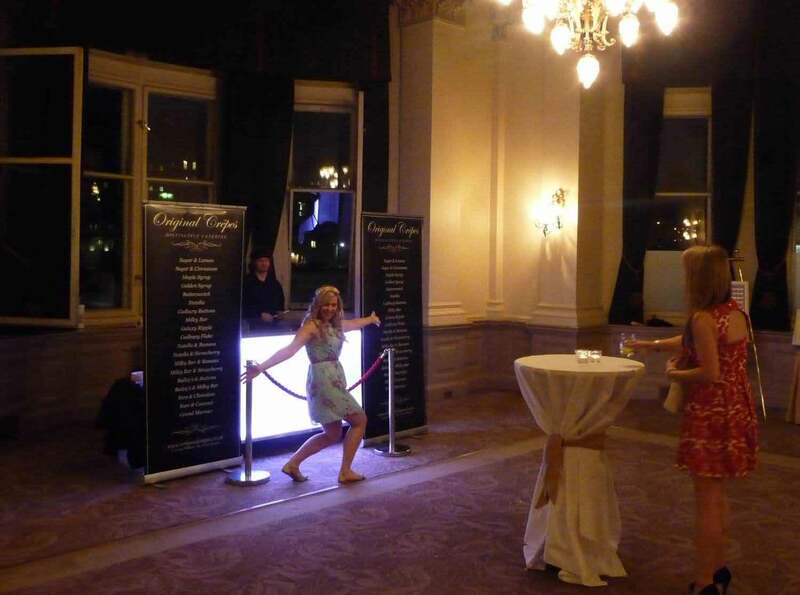 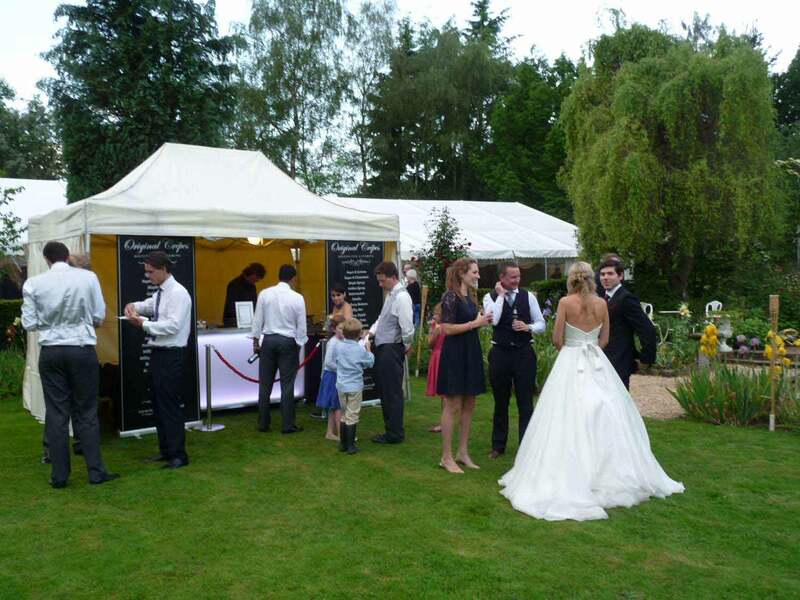 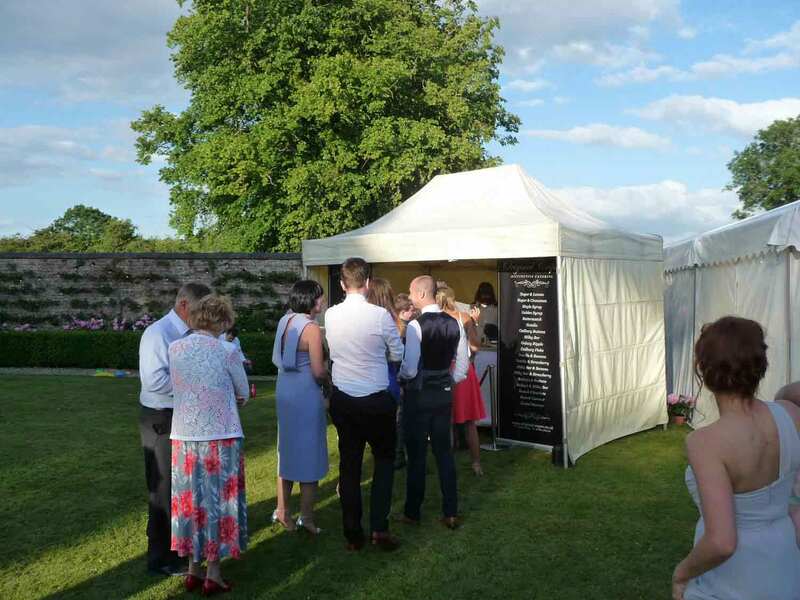 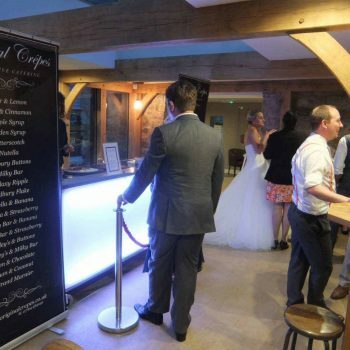 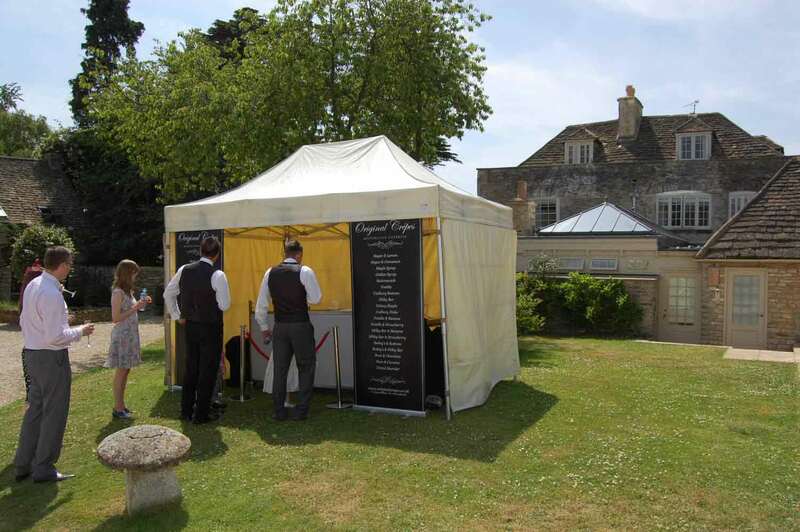 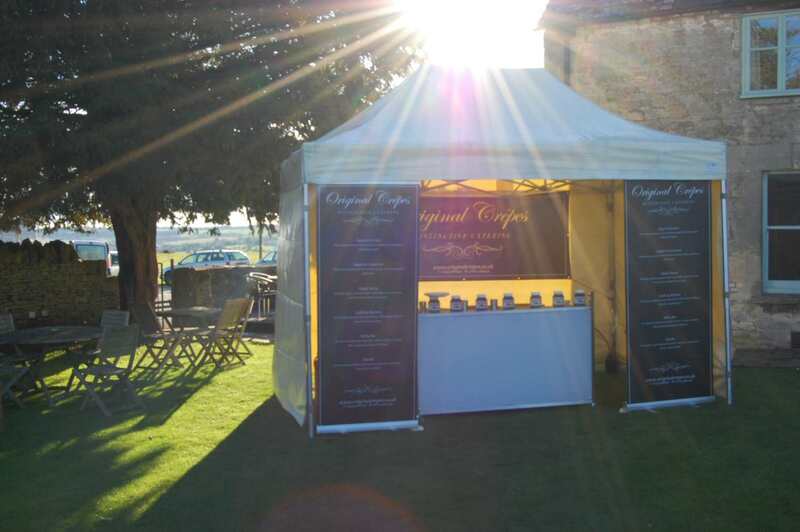 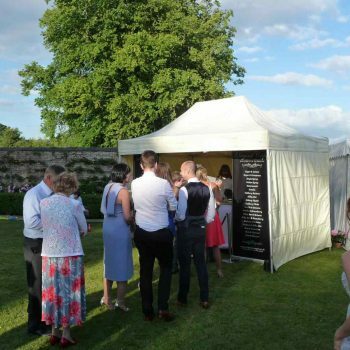 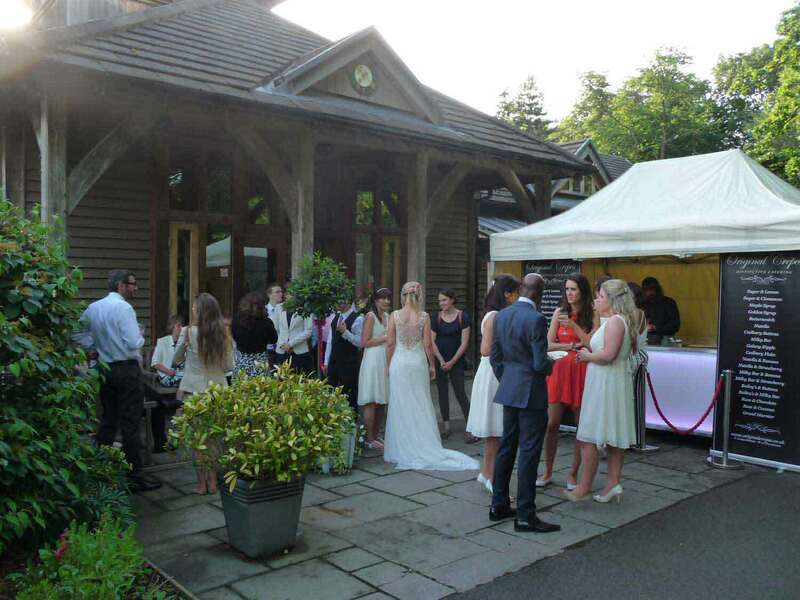 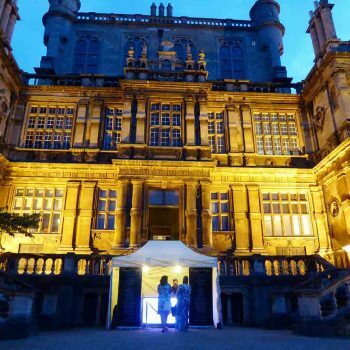 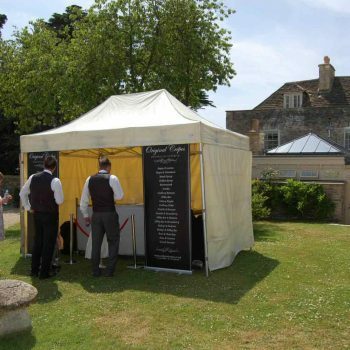 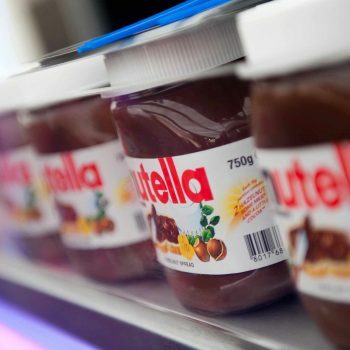 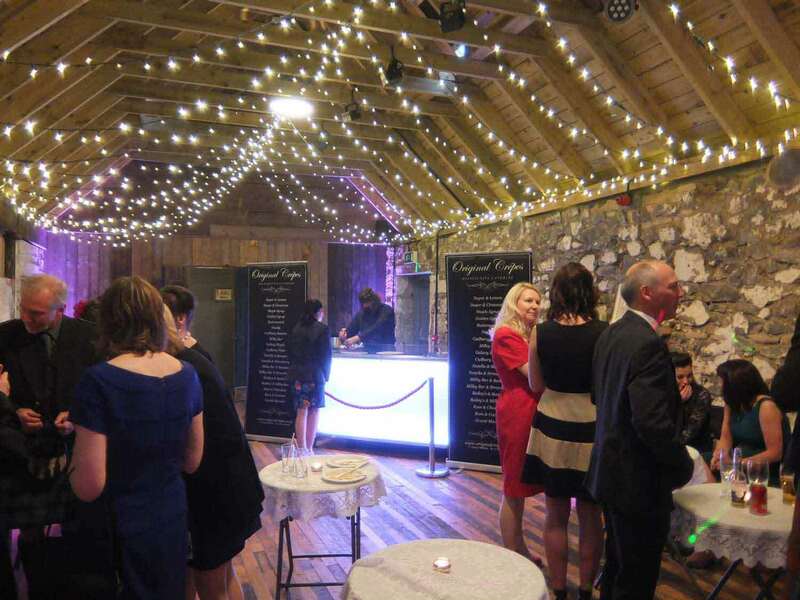 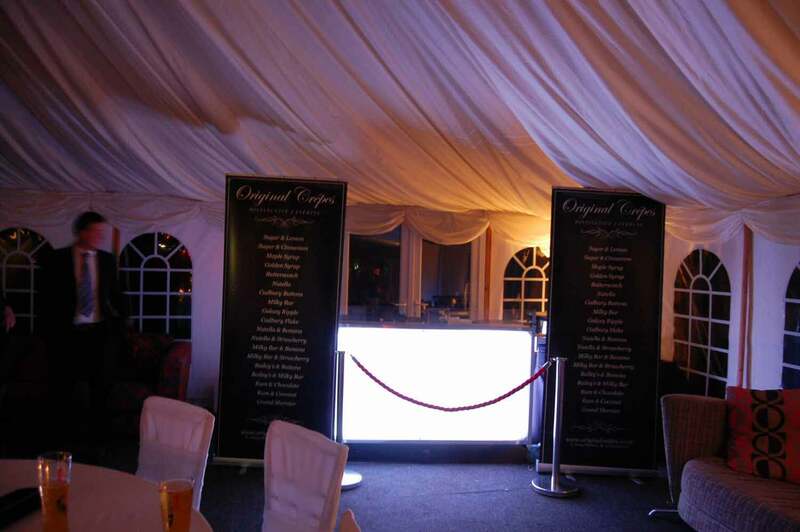 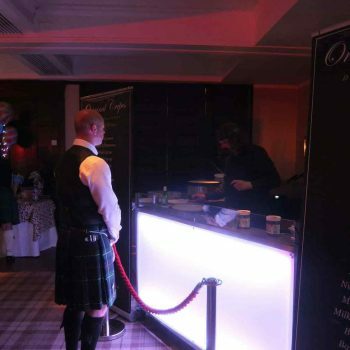 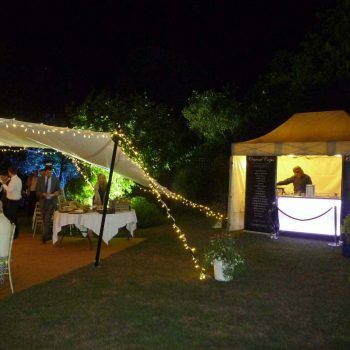 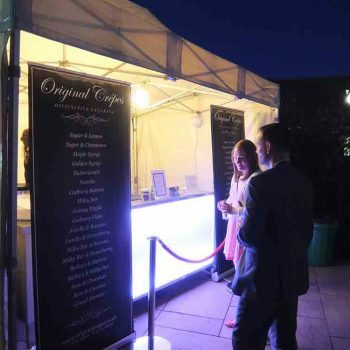 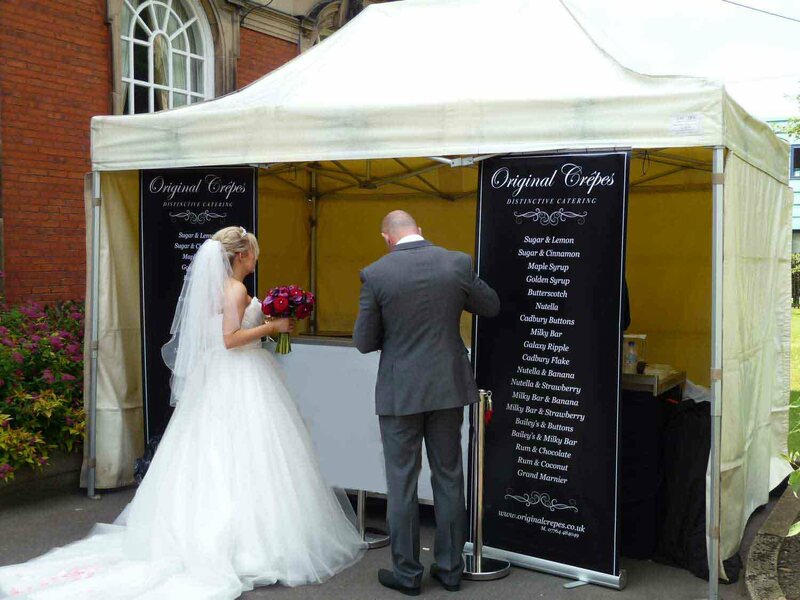 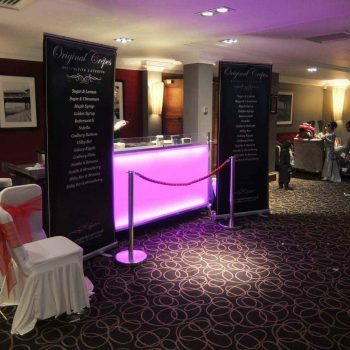 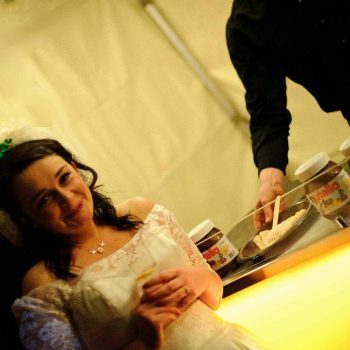 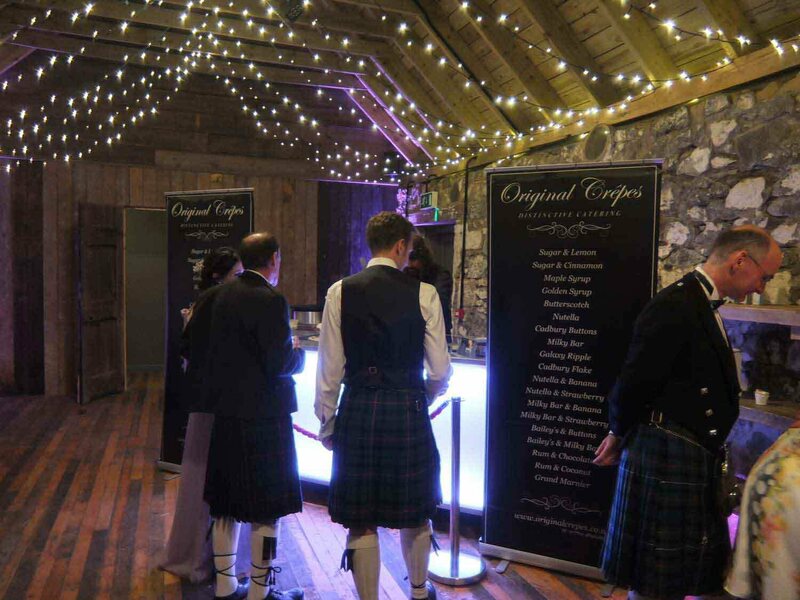 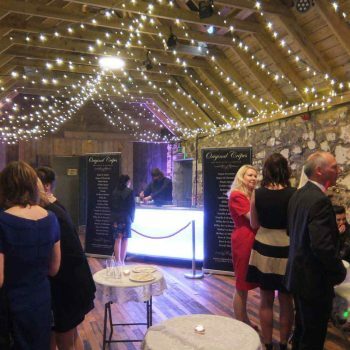 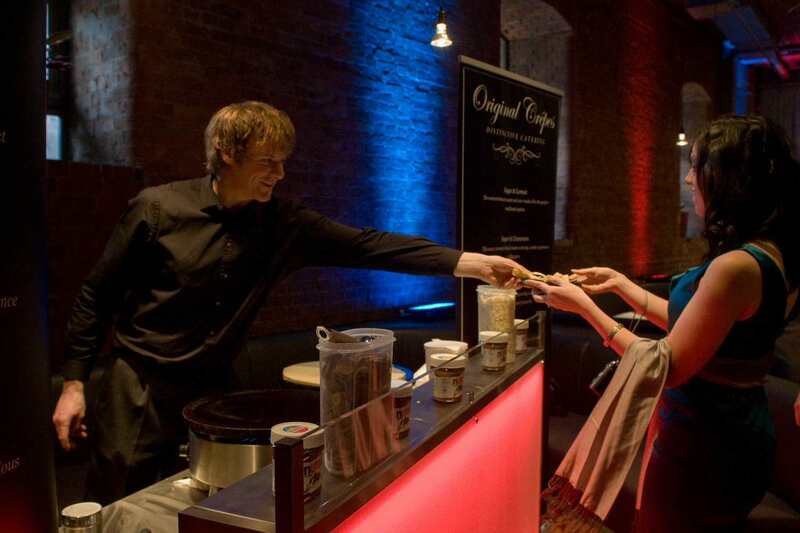 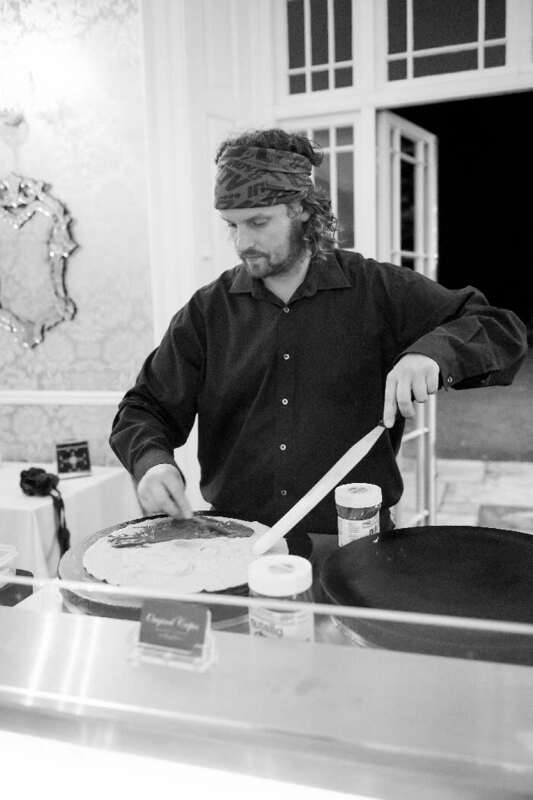 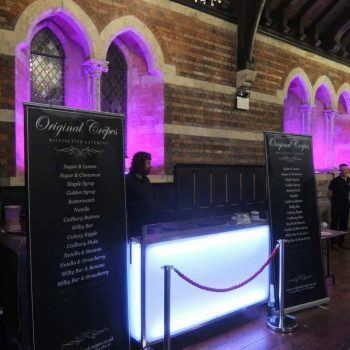 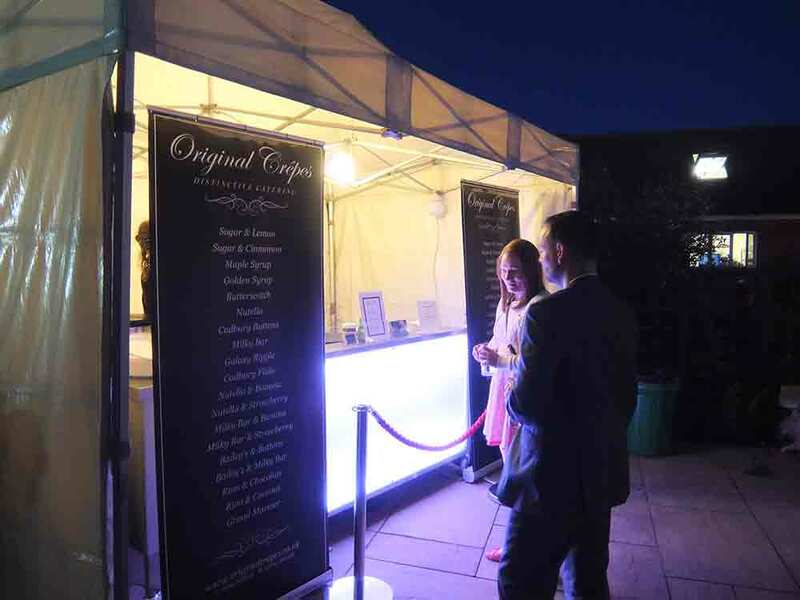 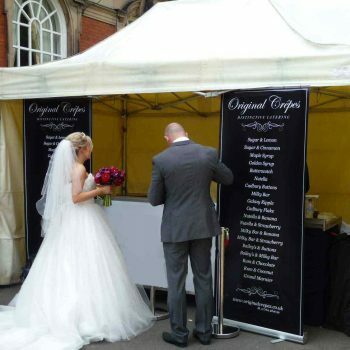 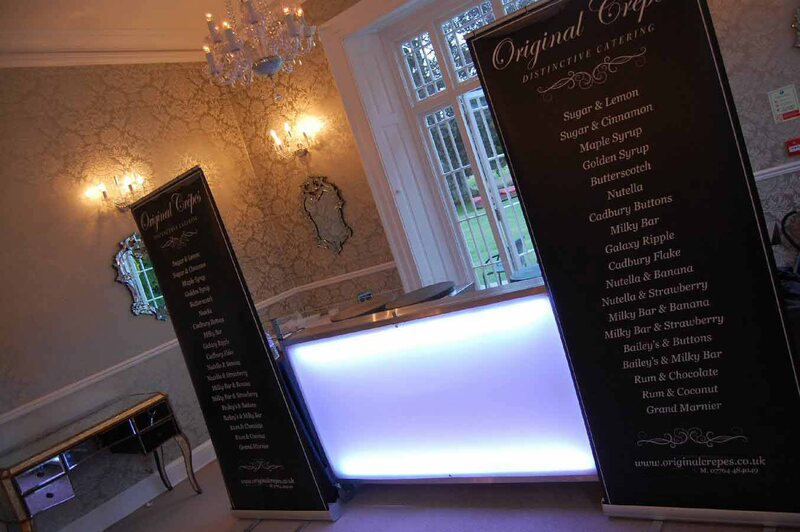 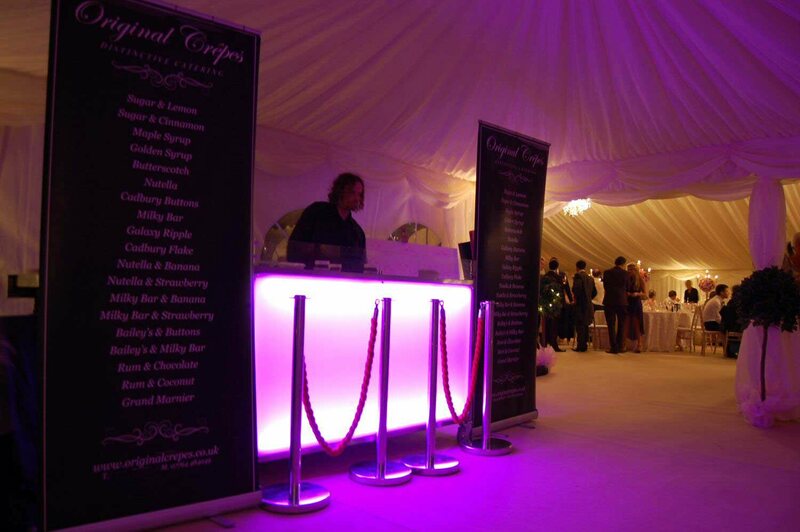 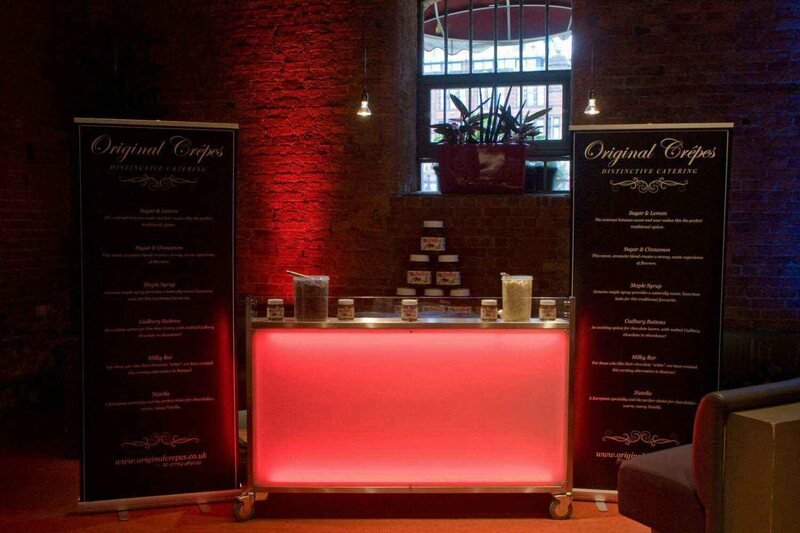 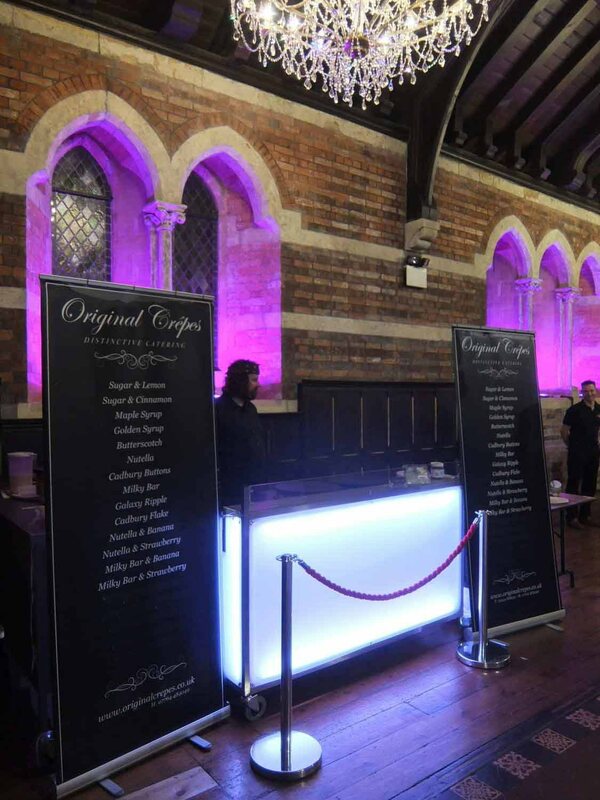 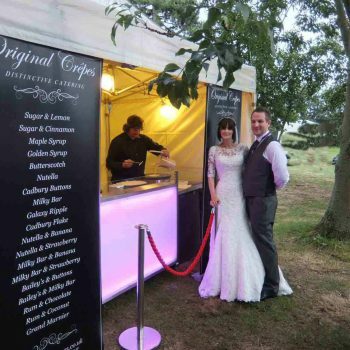 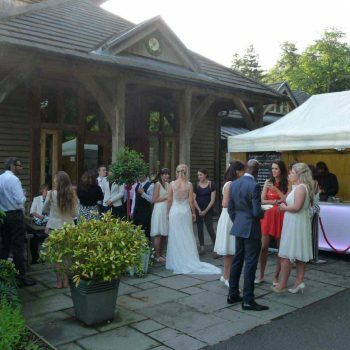 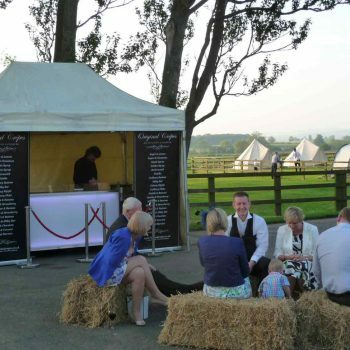 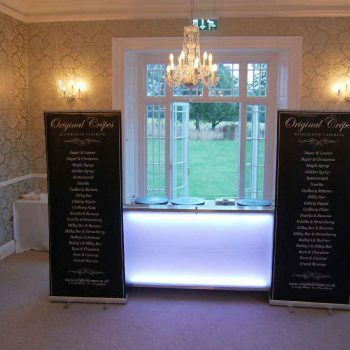 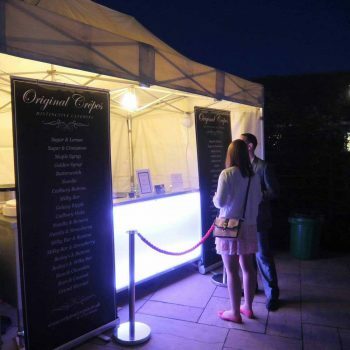 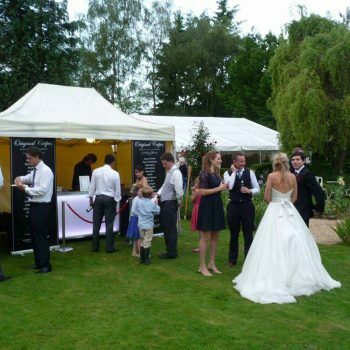 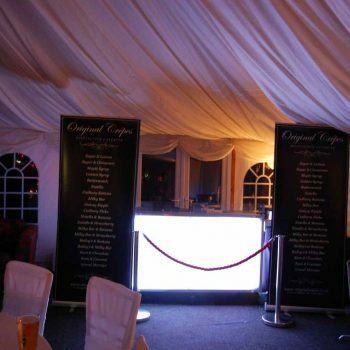 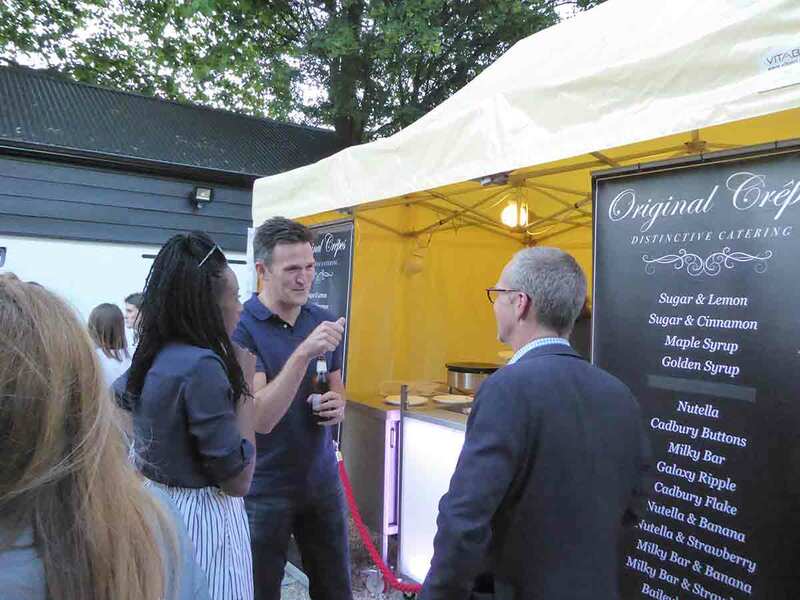 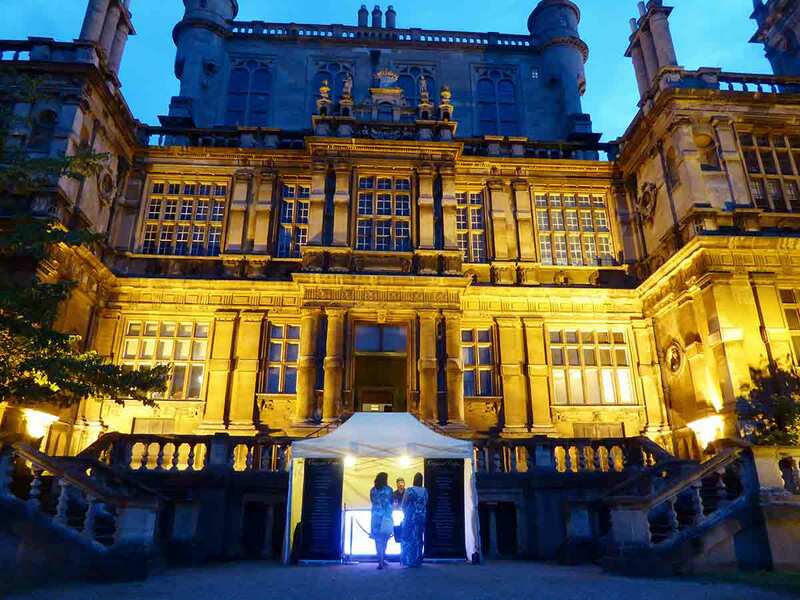 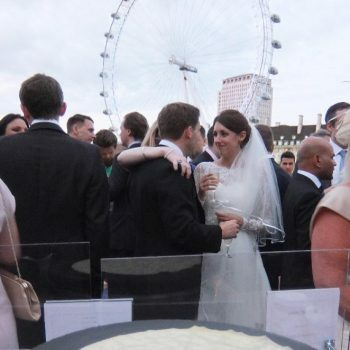 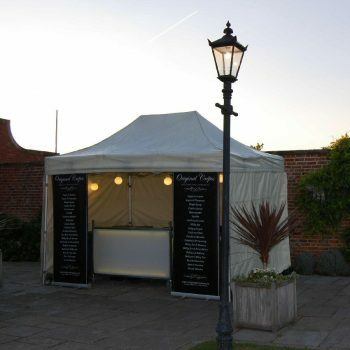 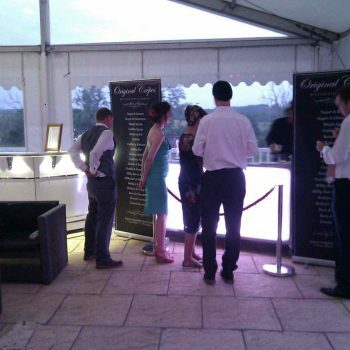 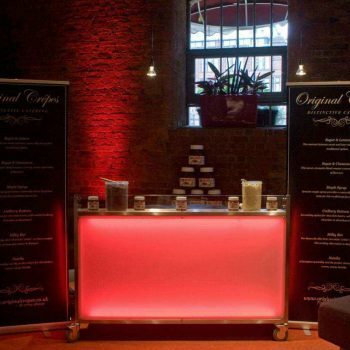 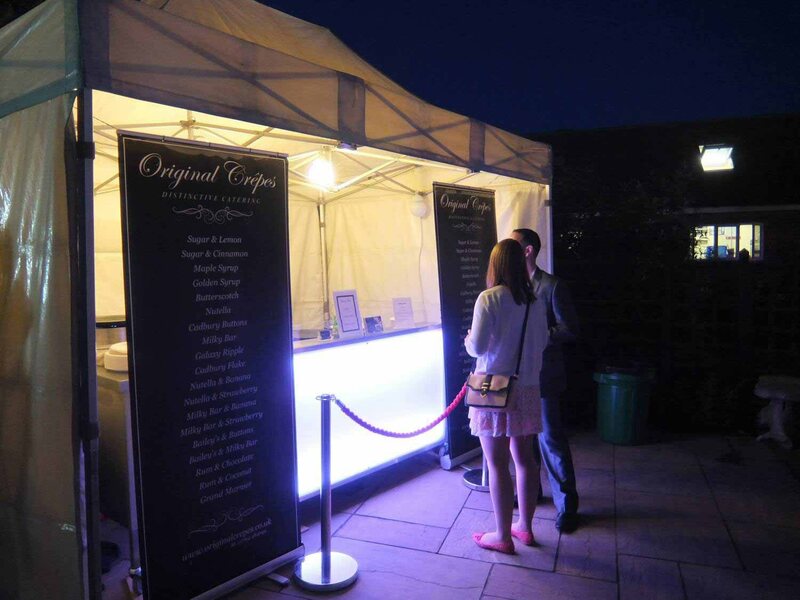 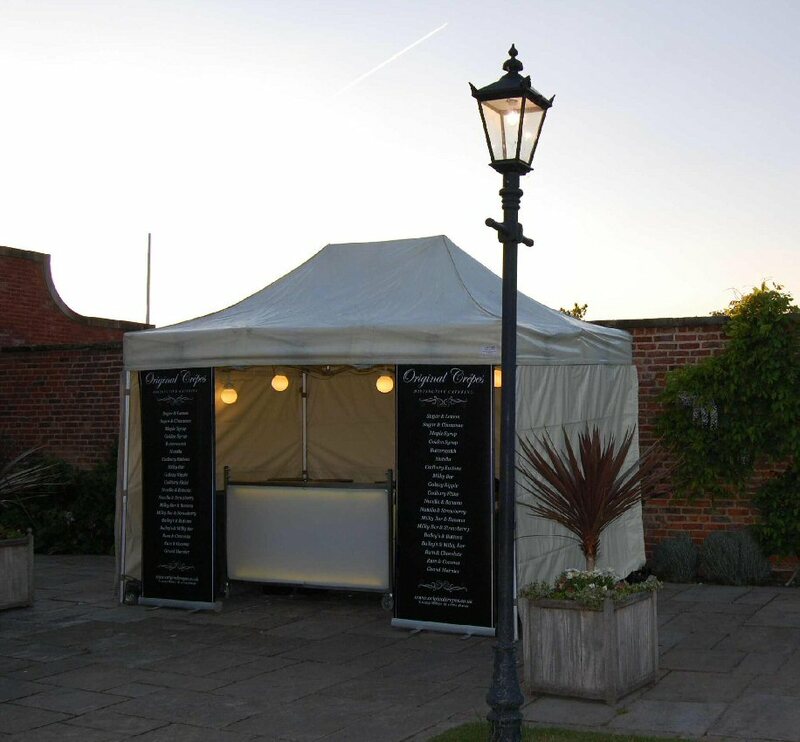 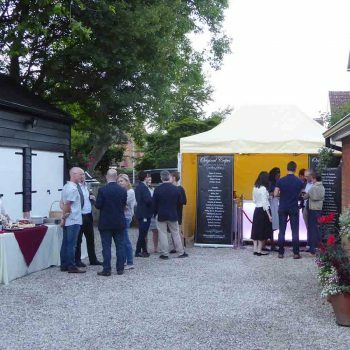 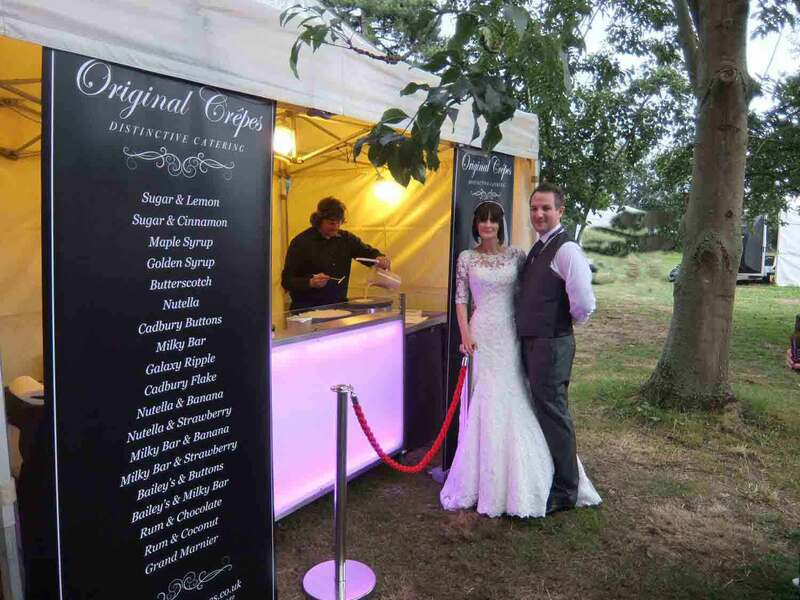 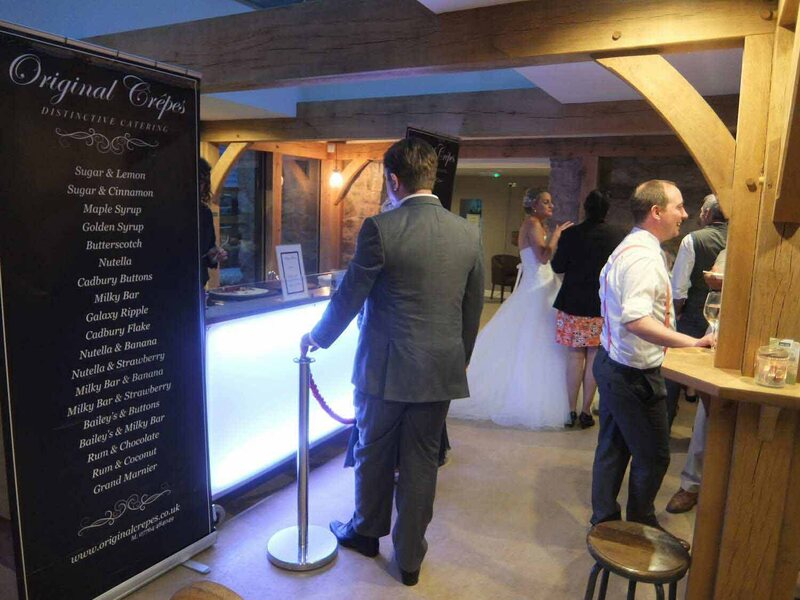 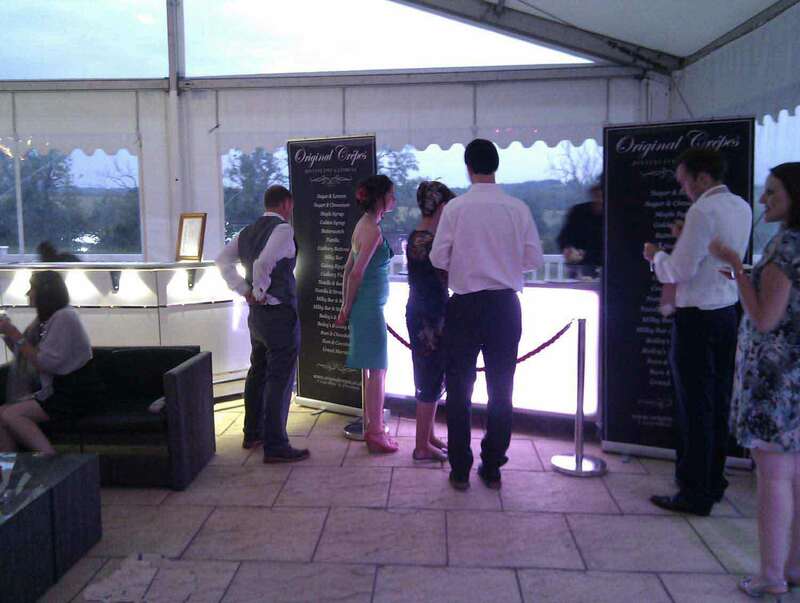 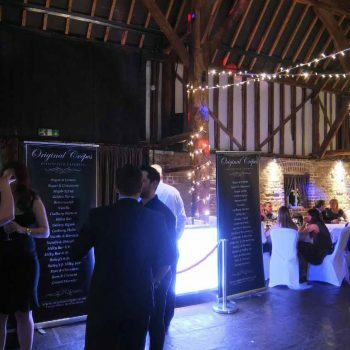 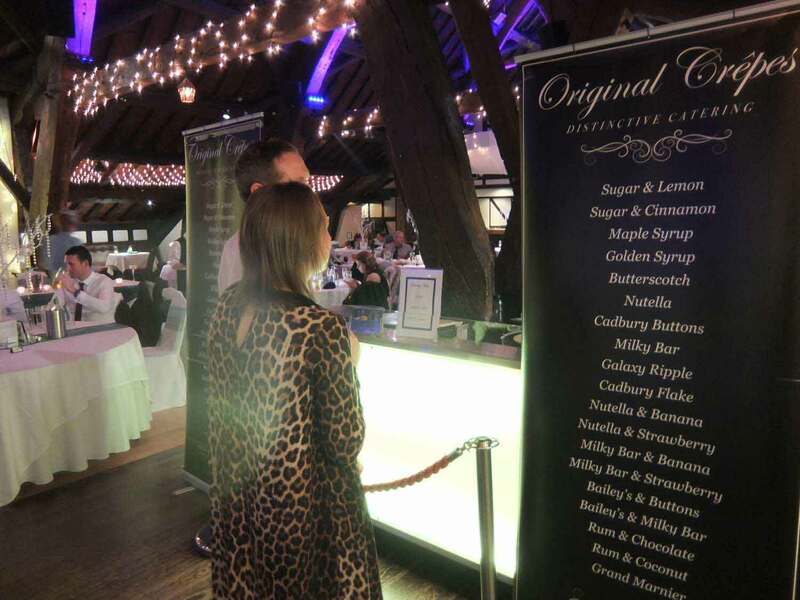 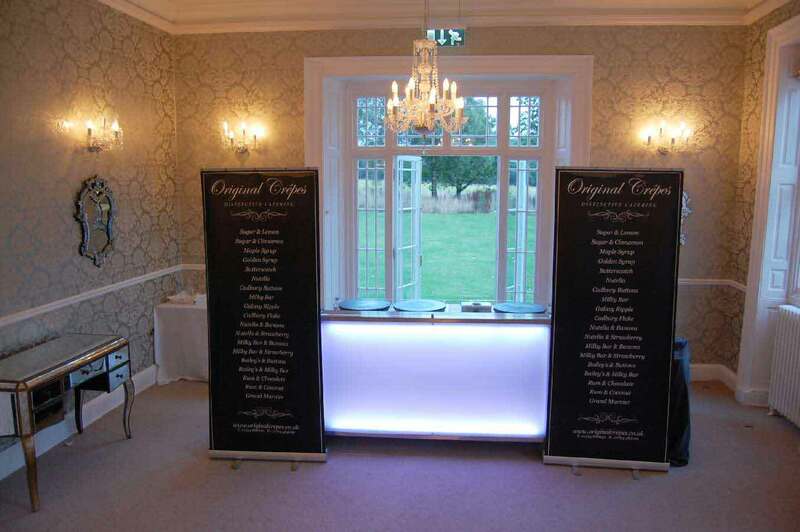 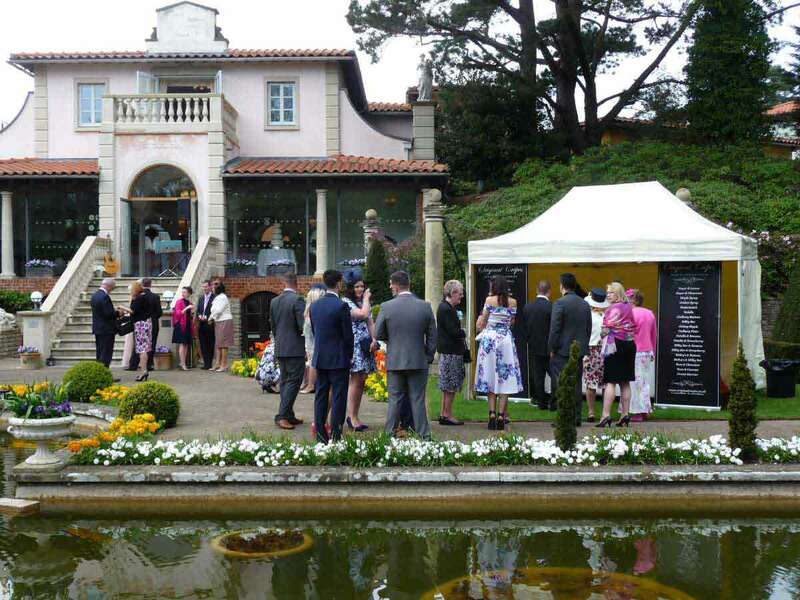 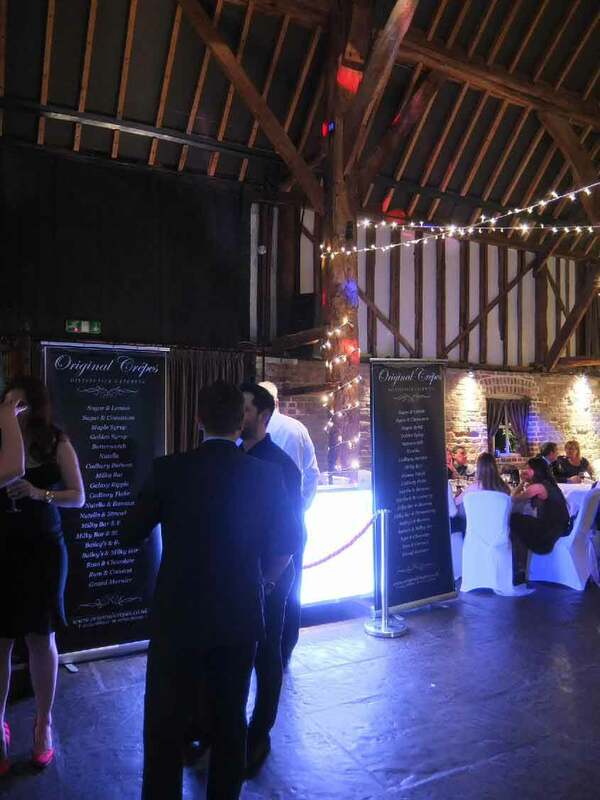 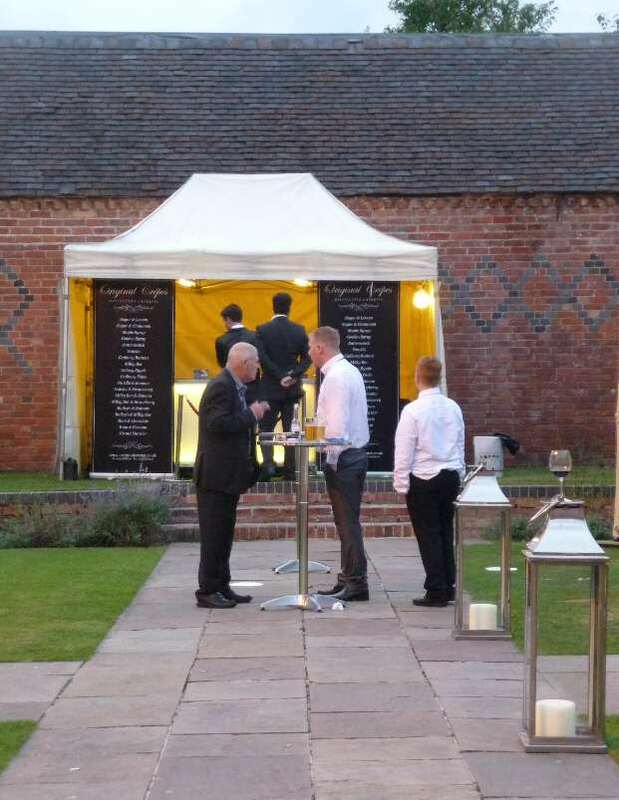 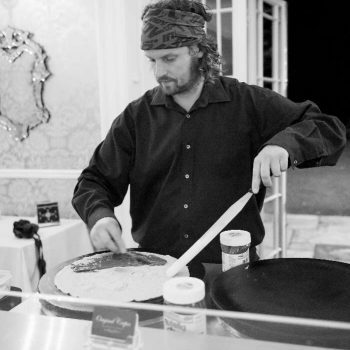 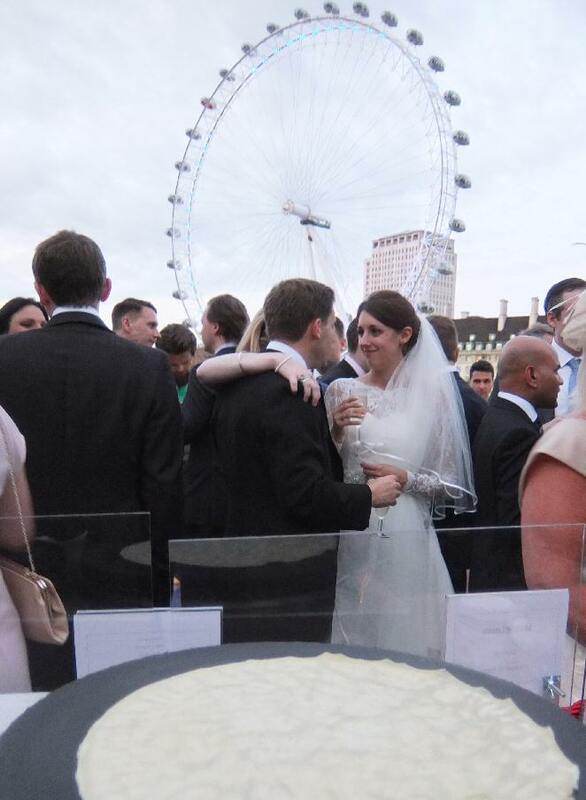 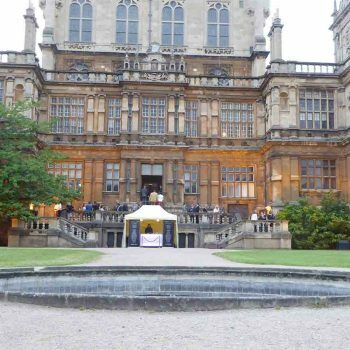 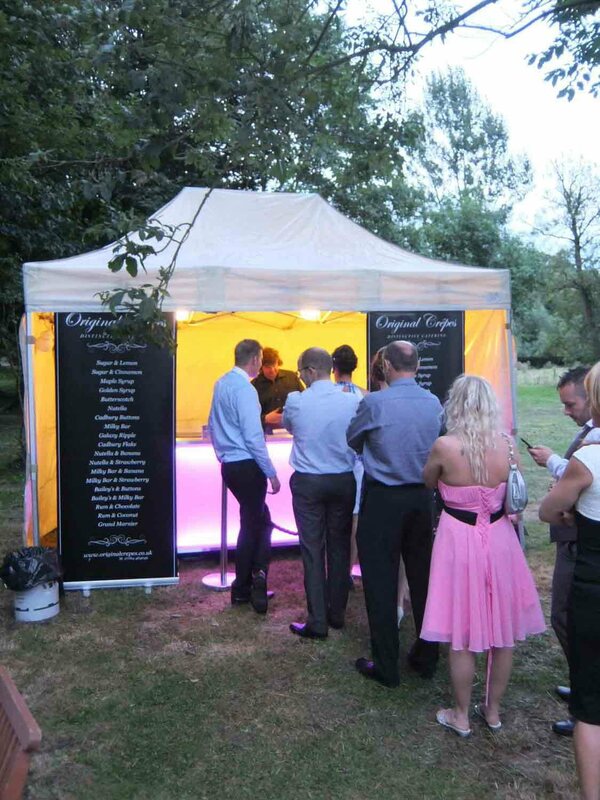 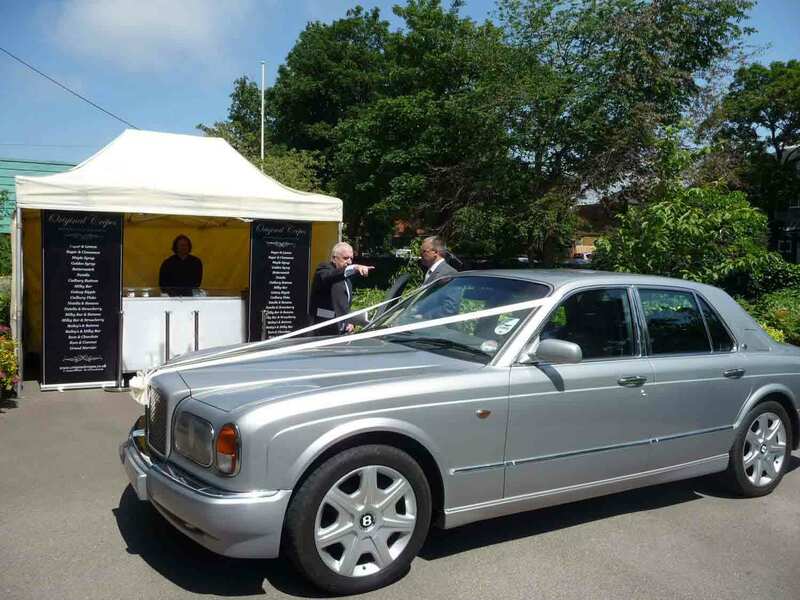 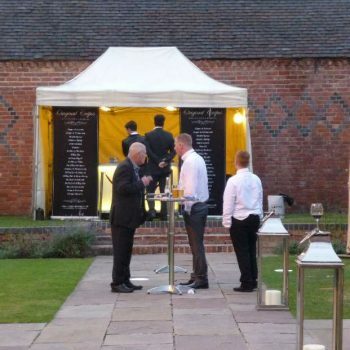 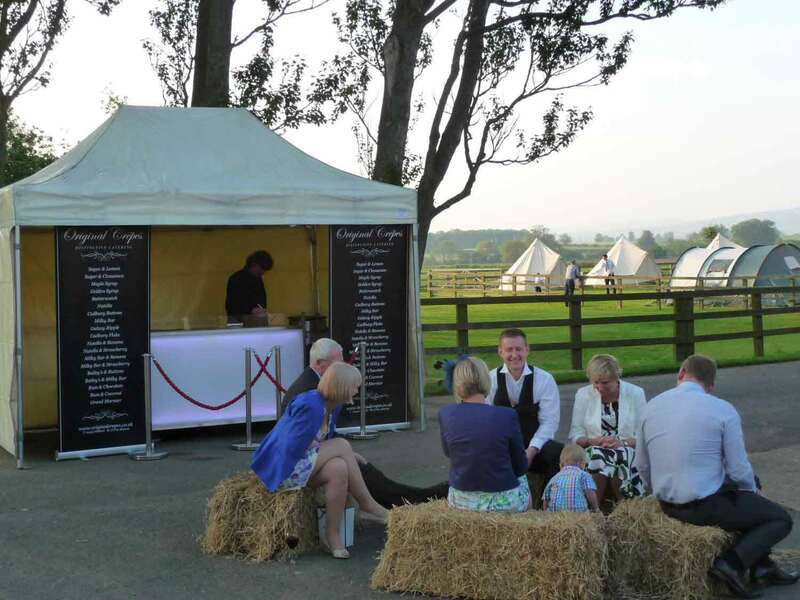 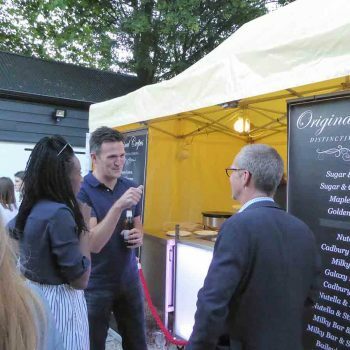 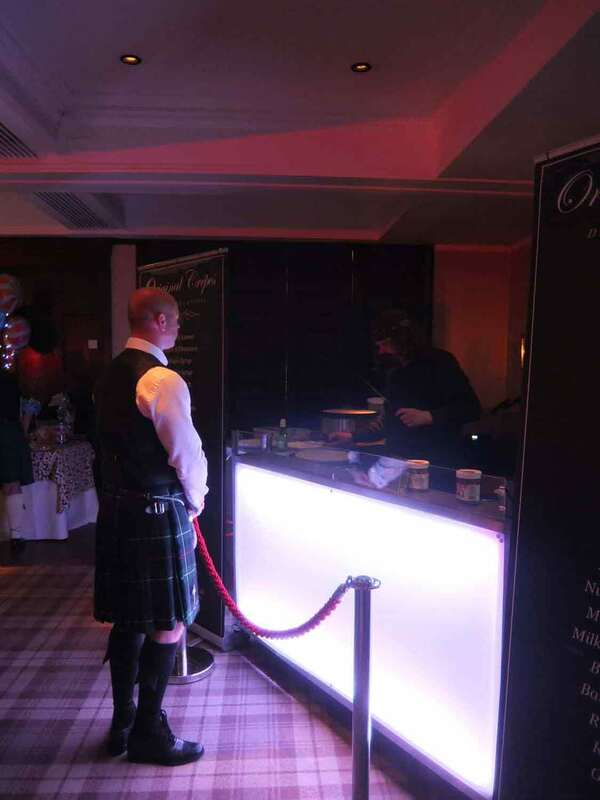 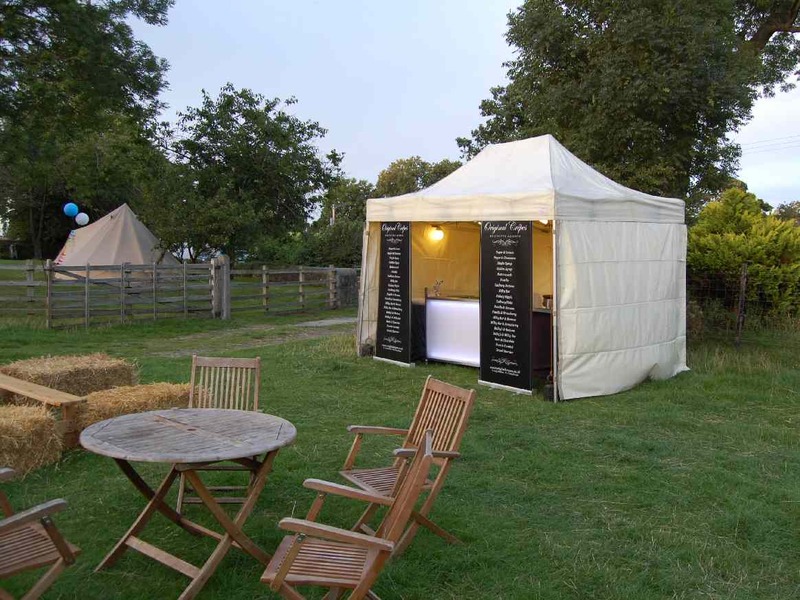 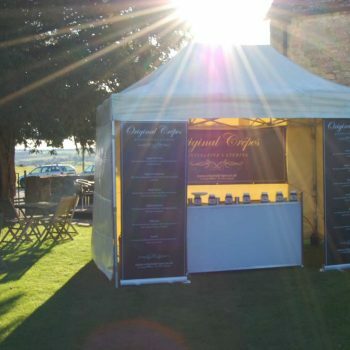 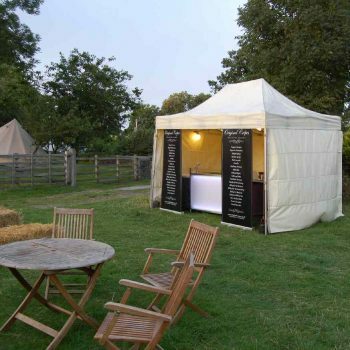 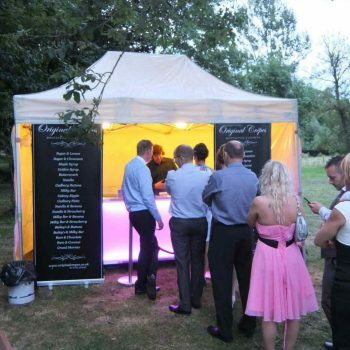 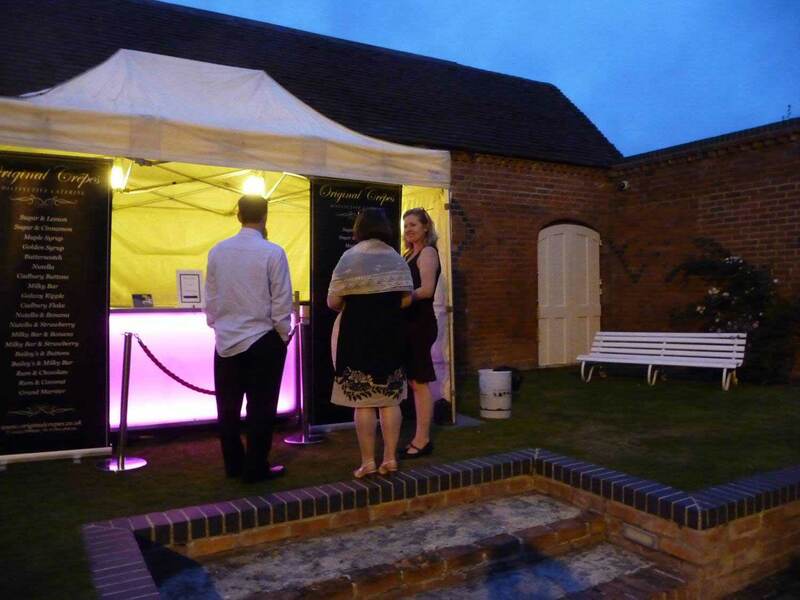 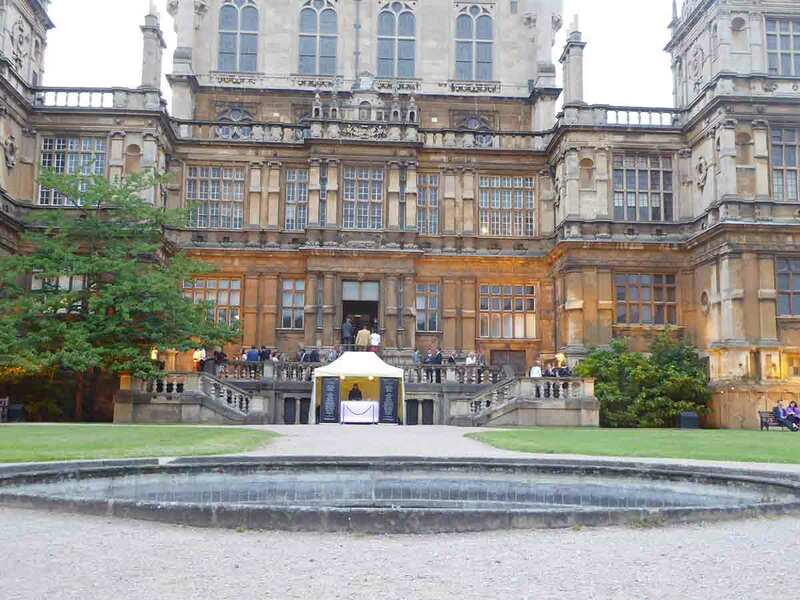 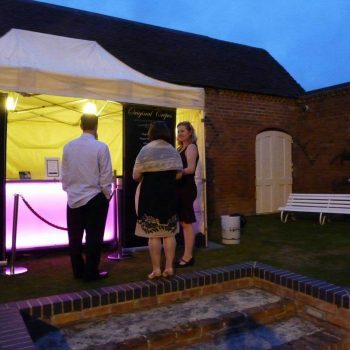 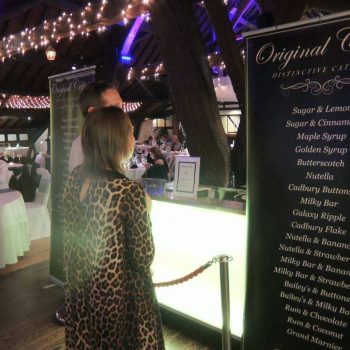 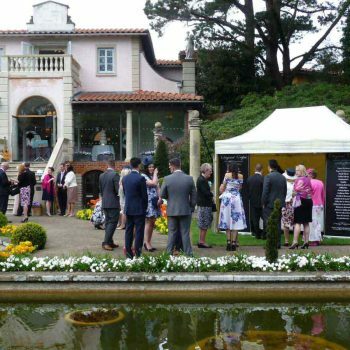 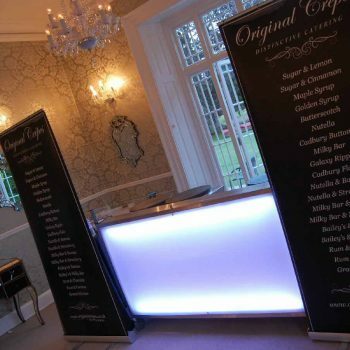 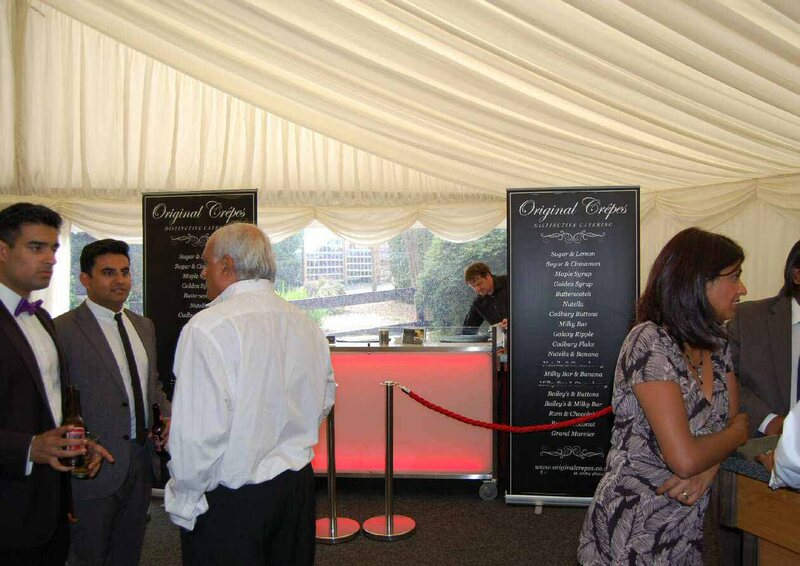 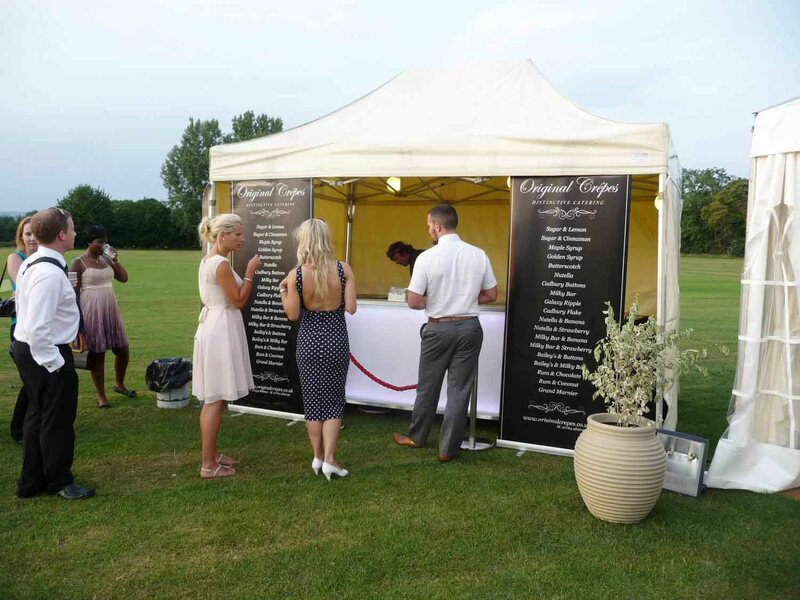 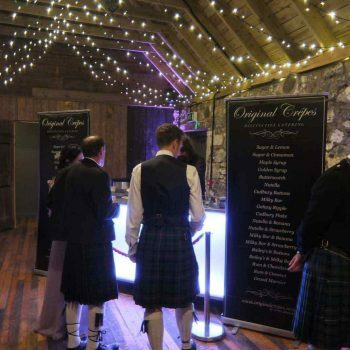 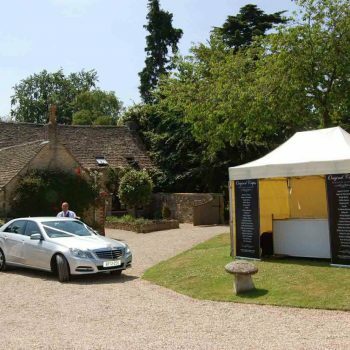 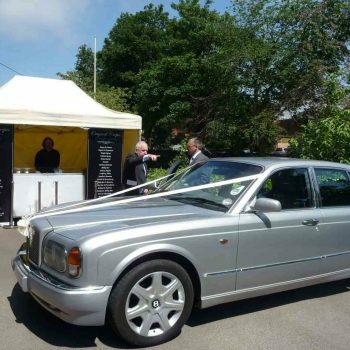 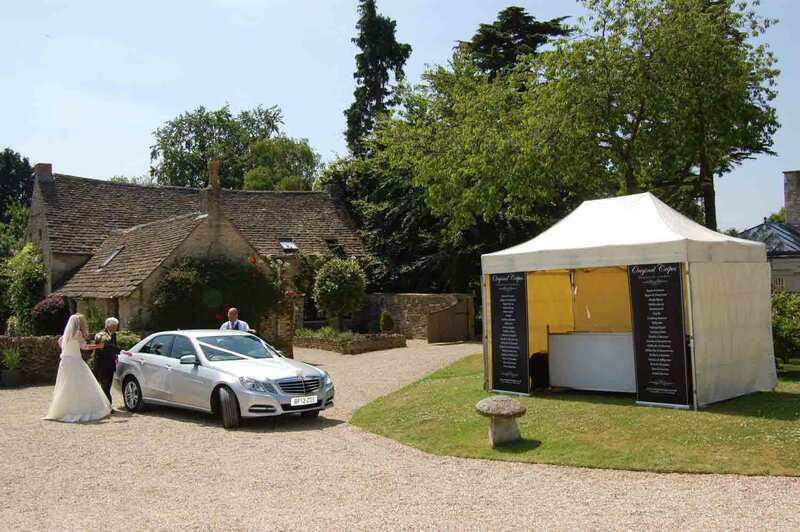 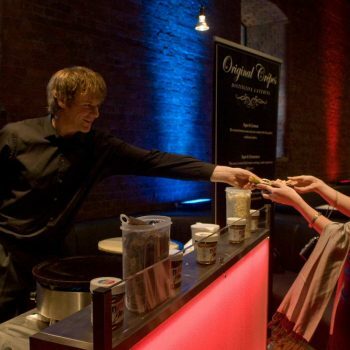 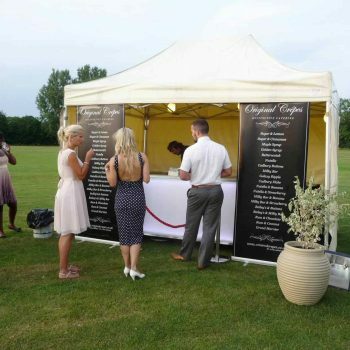 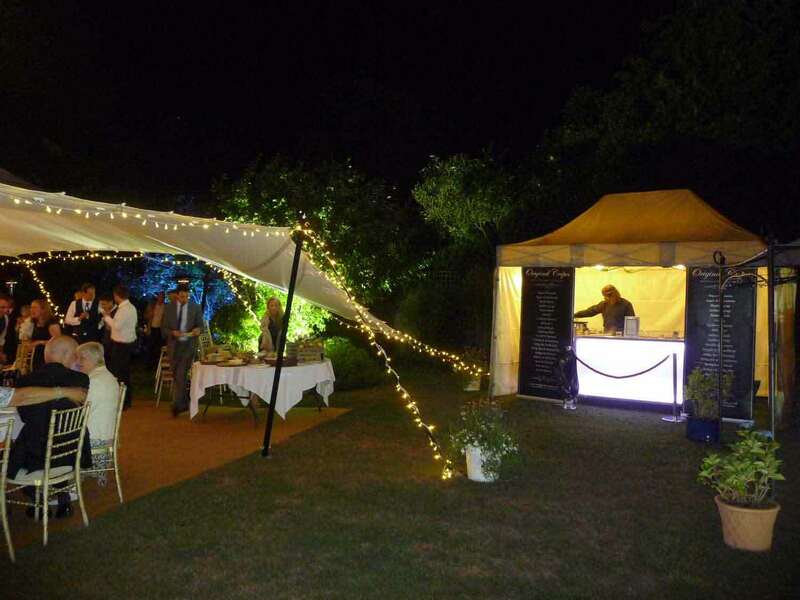 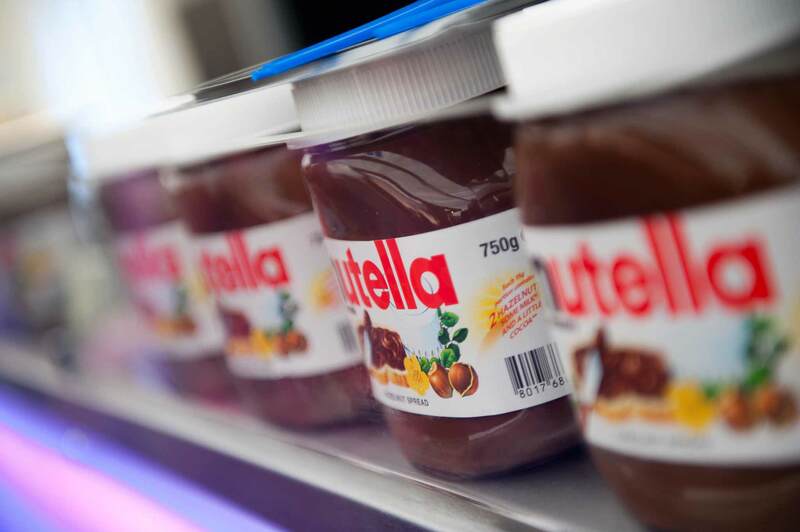 Although white and pink are the most popular colours, our illuminated mobile creperies can display any one of 2.1 million colours – offering a perfect colour match to your wedding or corporate theme. 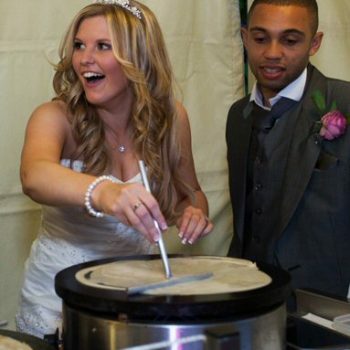 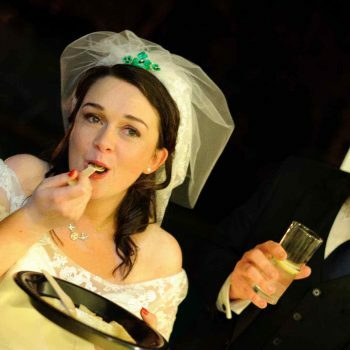 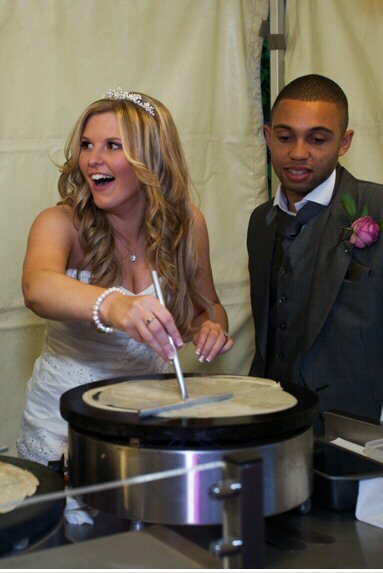 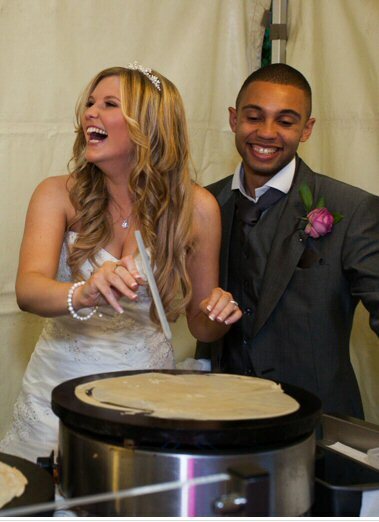 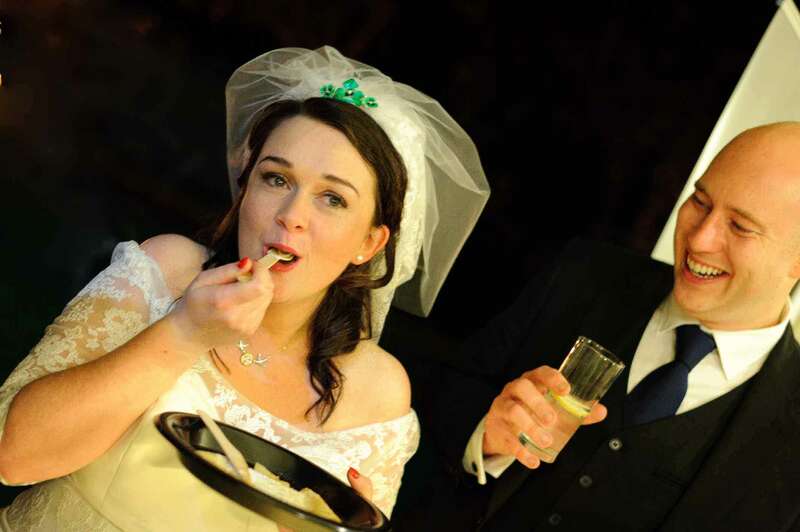 “Just a quick email to thank you both for the lovely crepes at our wedding. 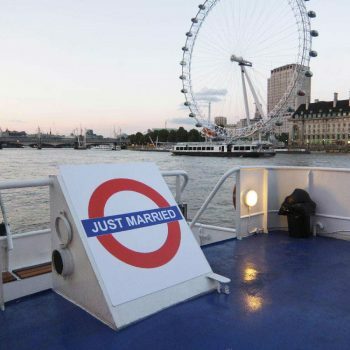 Everyone loved them and are still talking about them 2 weeks later. 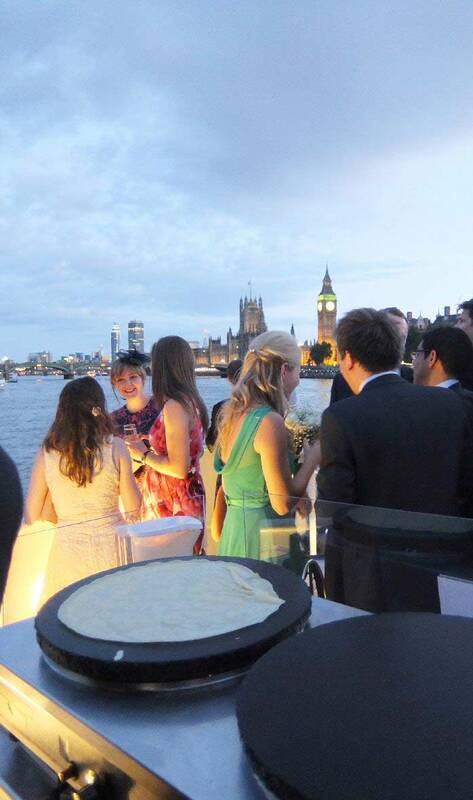 Just wanted to say thank you so much for Saturday night. 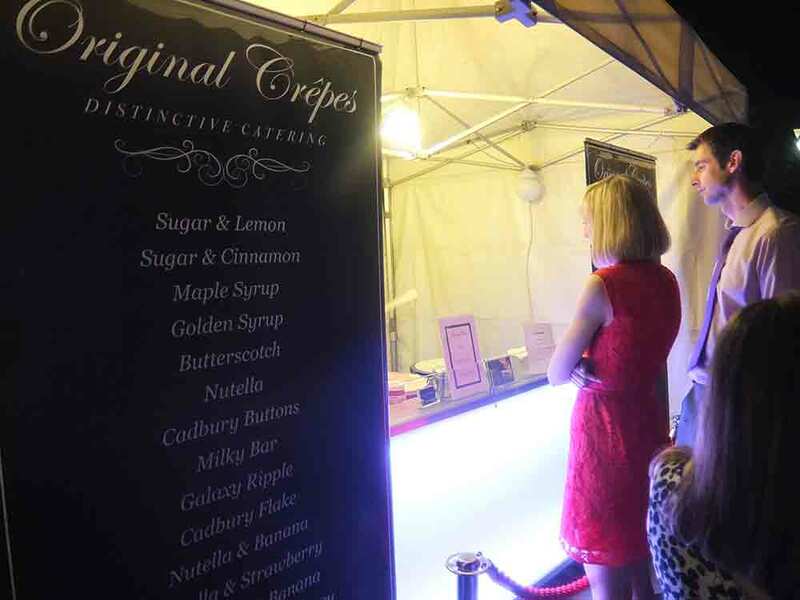 As I mentioned I didn’t have chance to taste one although Laura did and said they were delicious. 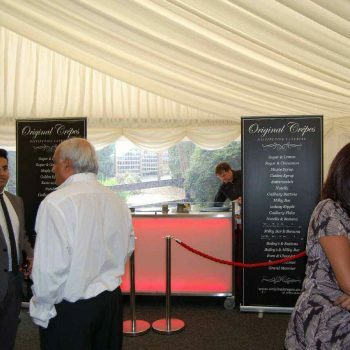 and I think the queue throughout serving showed how popular they were. 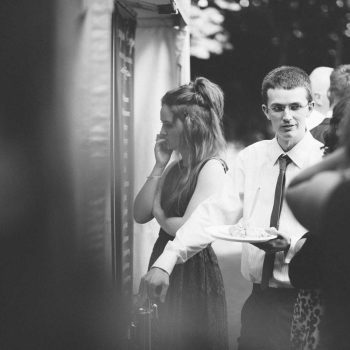 such an amazing day which you guys were a big part of. 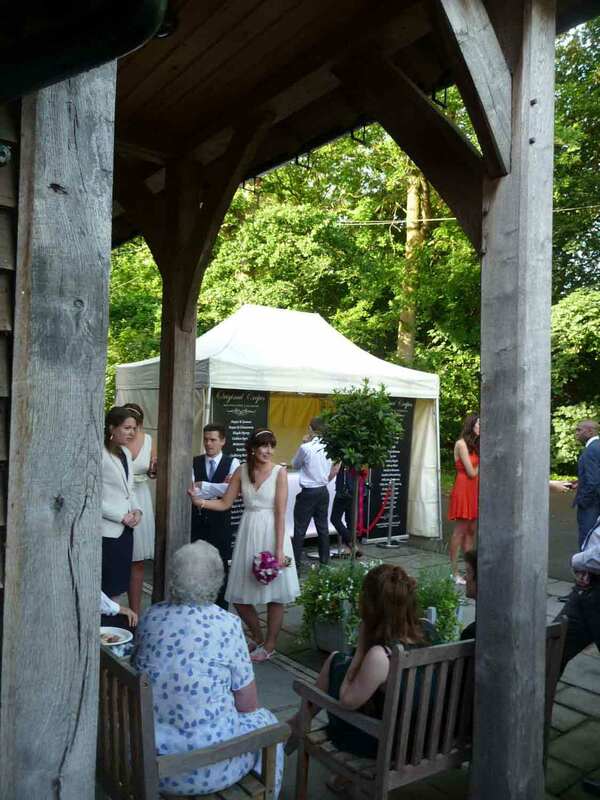 to friends and family and anyone else who will listen. 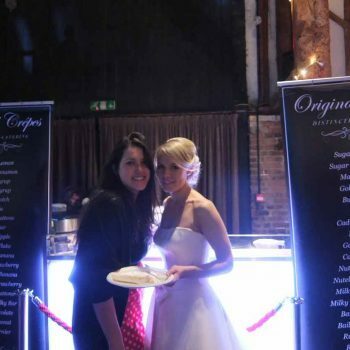 I just wanted to say thank you for providing an amazing service at our wedding. 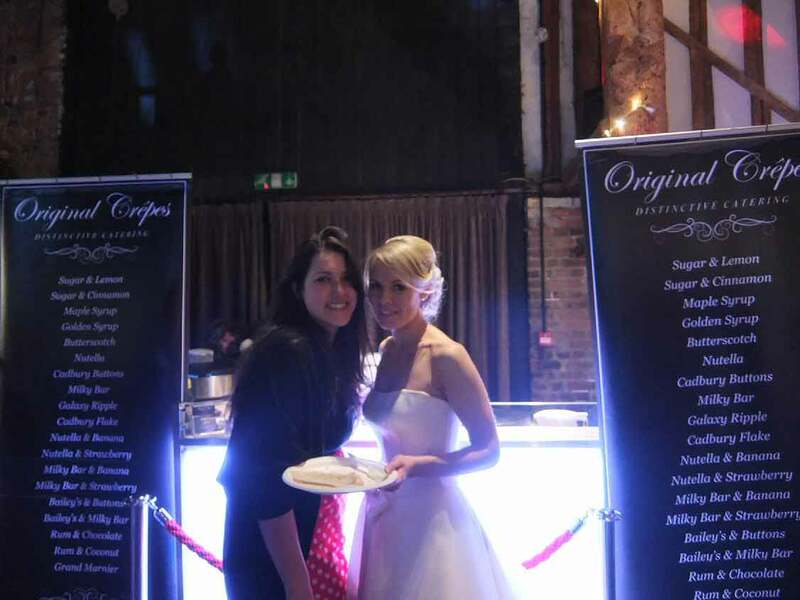 You were so professional and the crepes went down a treat! 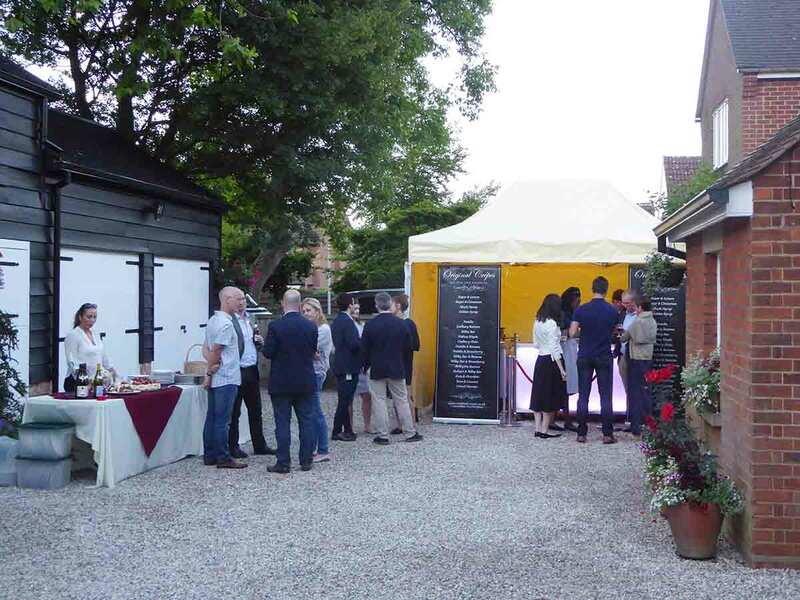 So many of our guests have commented on how delicious they were and what a surprise! 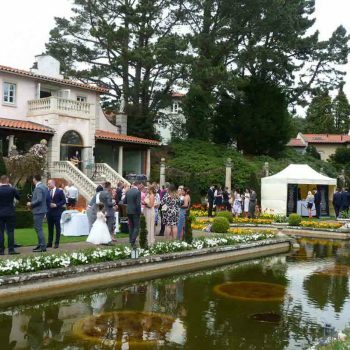 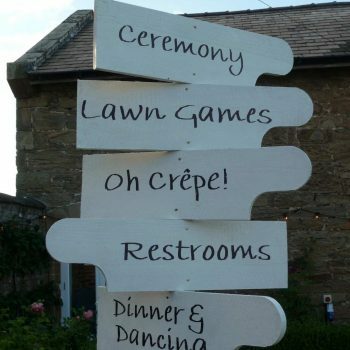 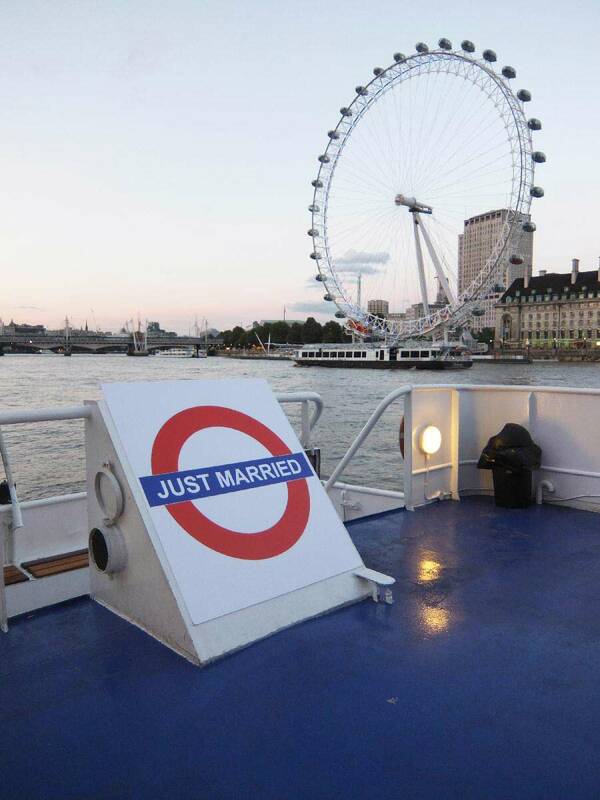 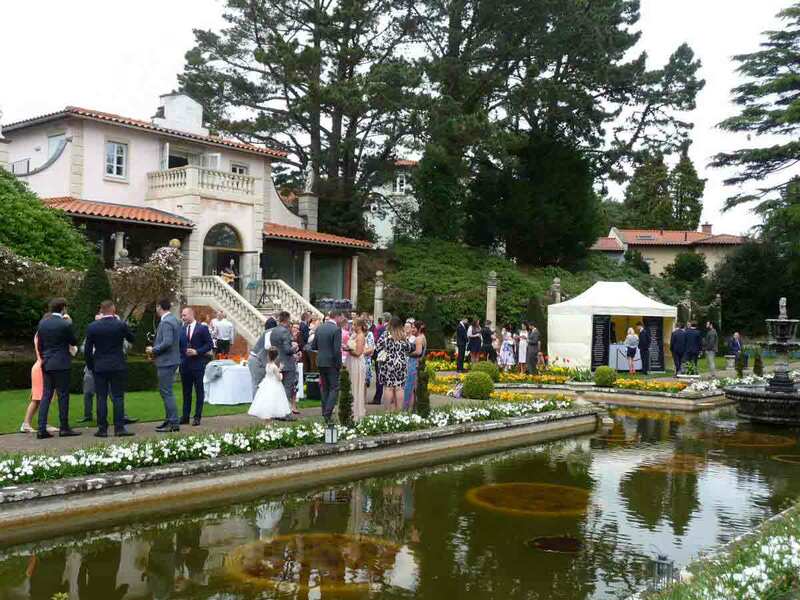 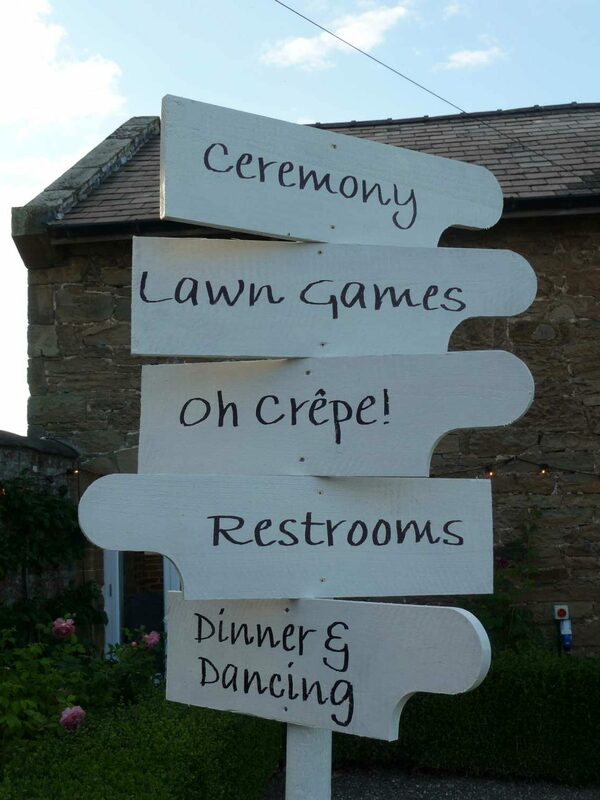 It was nice to have something different at our wedding. 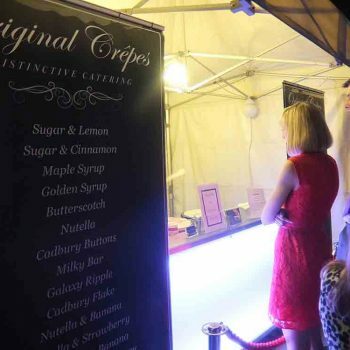 I will definitely be recommending Original Crepes to everyone I know! 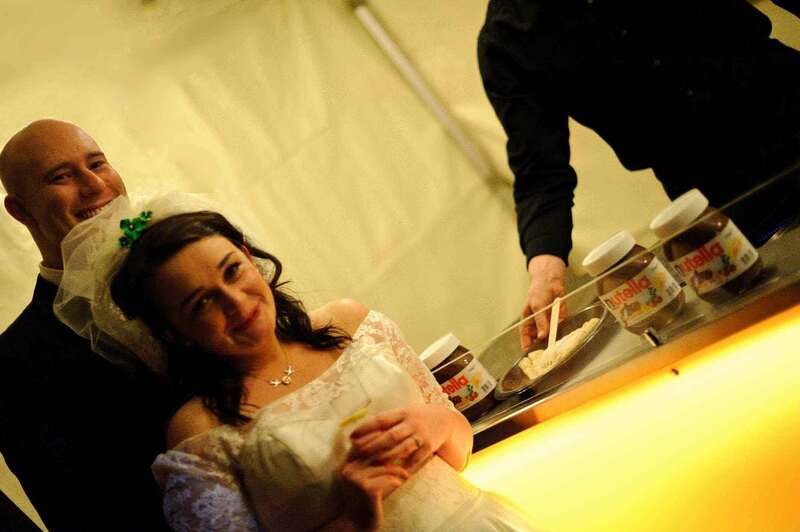 Everyone loved the novelty of pancakes, but Kelly was delighted as you could tell. 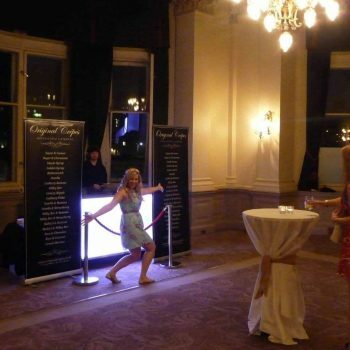 I told you she was excited ha ha. 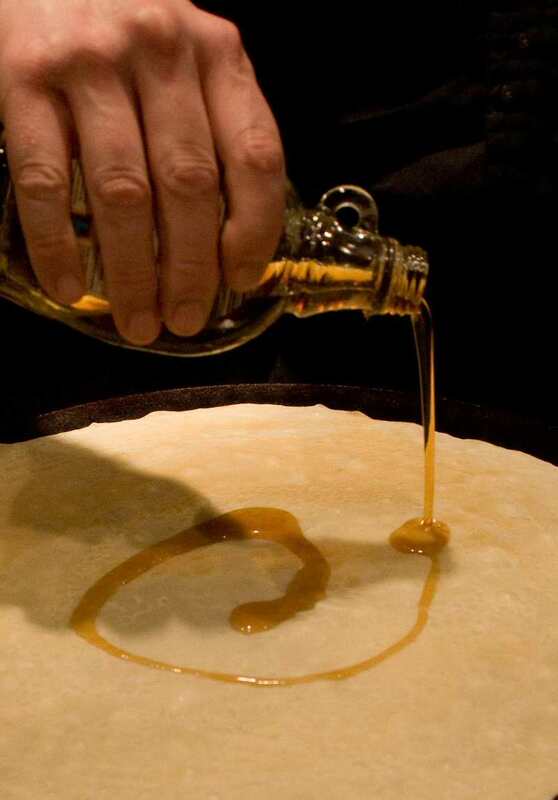 You put on an amazing show and the pancakes were delicious.